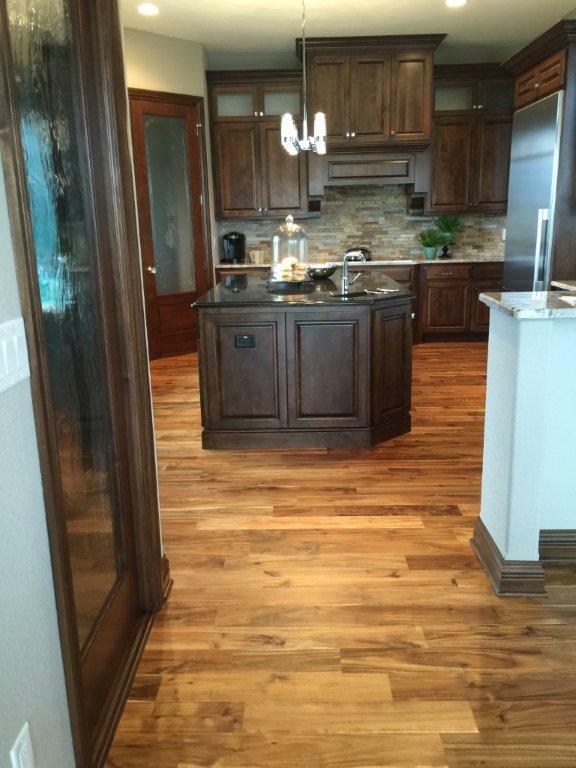 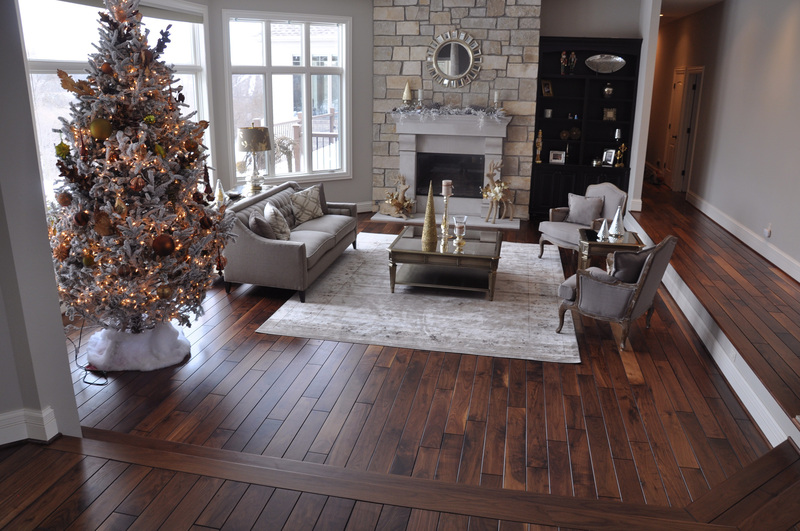 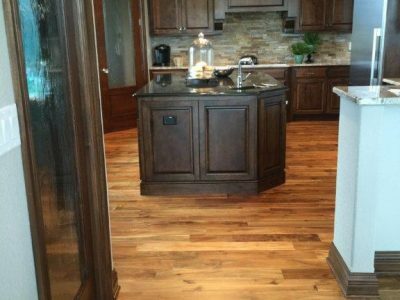 Hardwood flooring is available from Schmidt Custom Floors with a vast array of options for species, color, finishes, styles, sizes, shapes, and custom treatments. 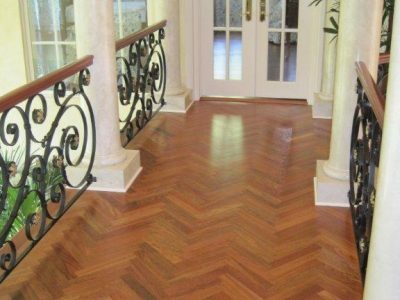 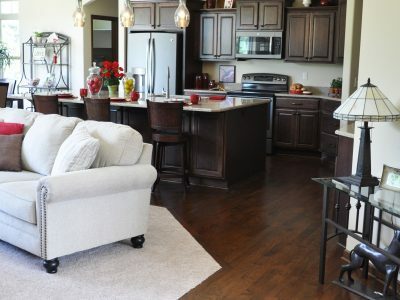 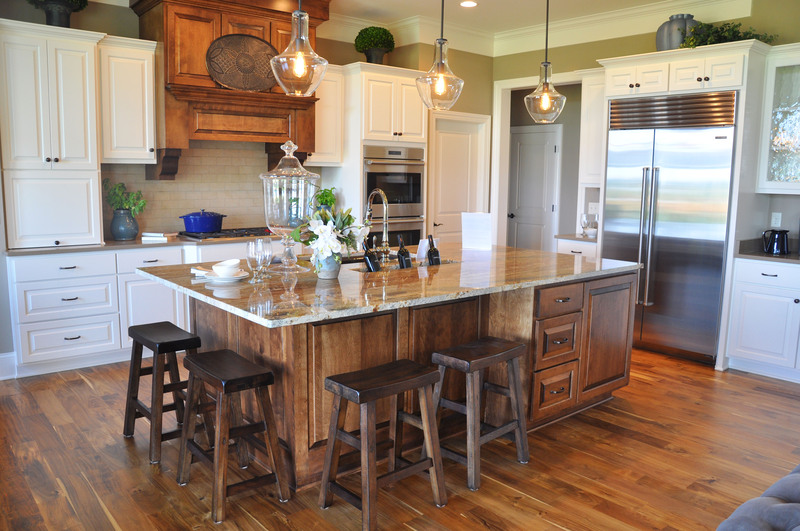 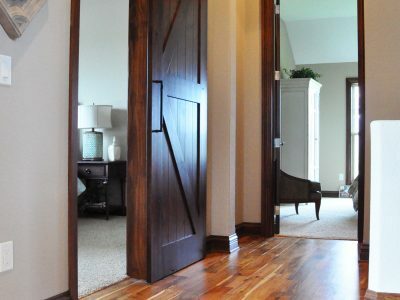 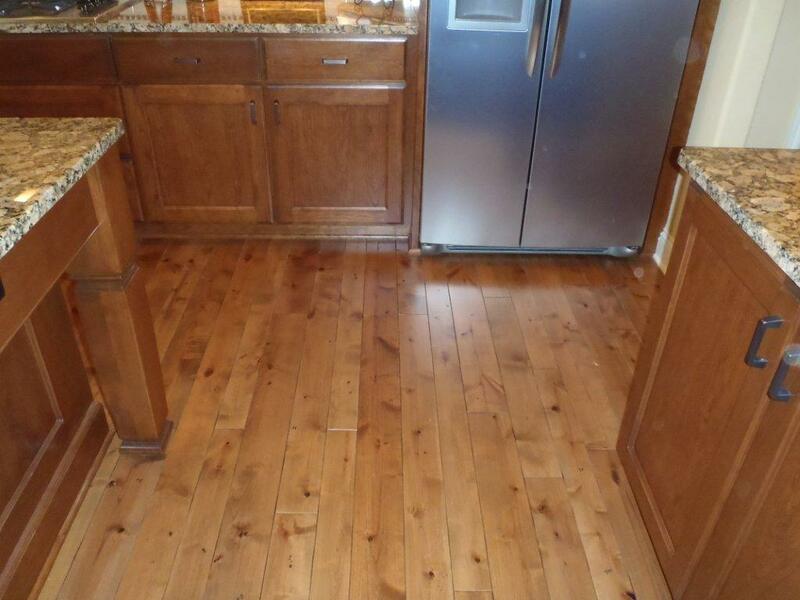 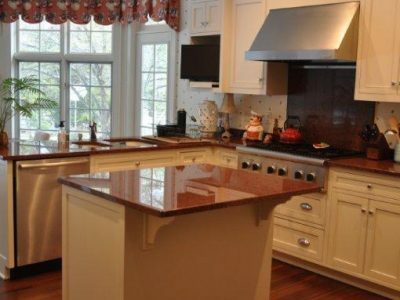 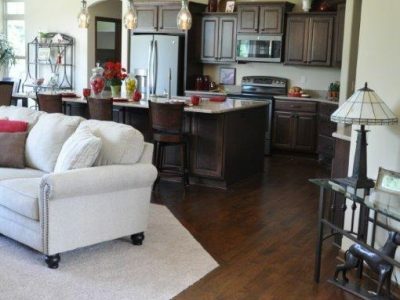 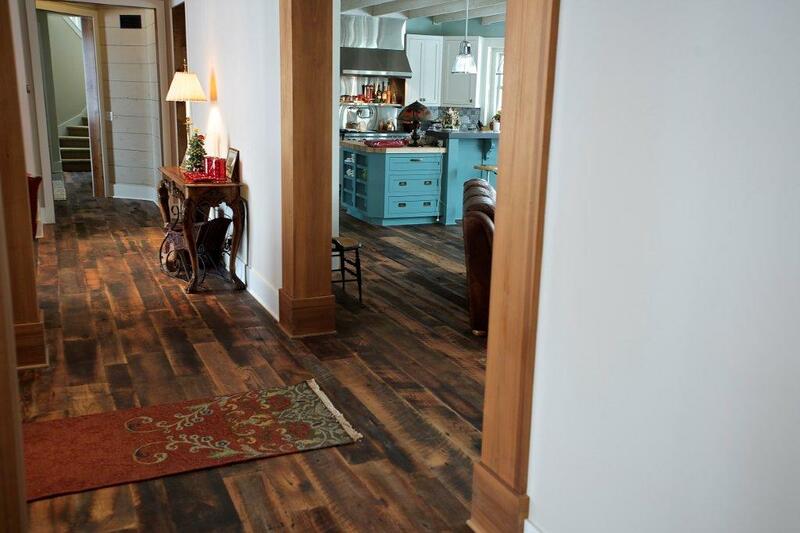 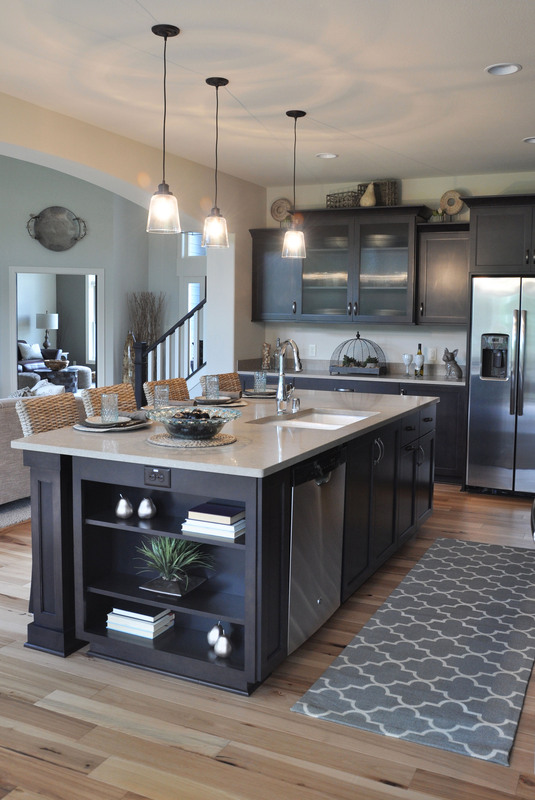 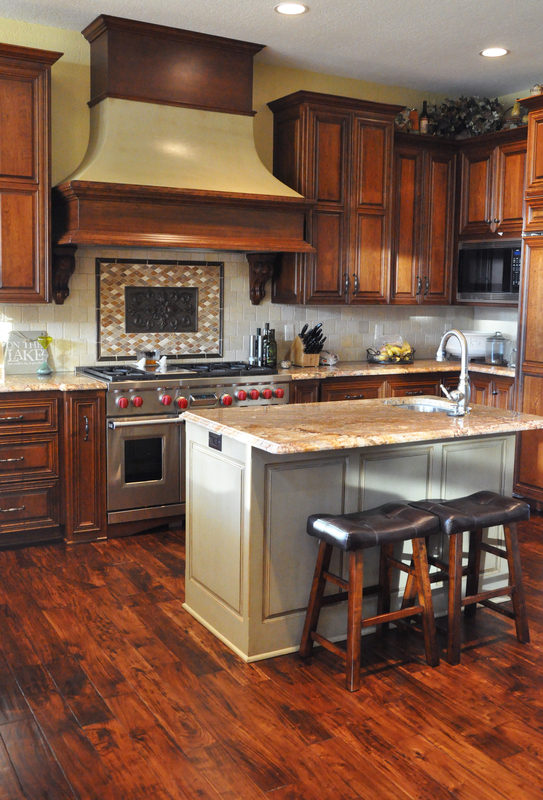 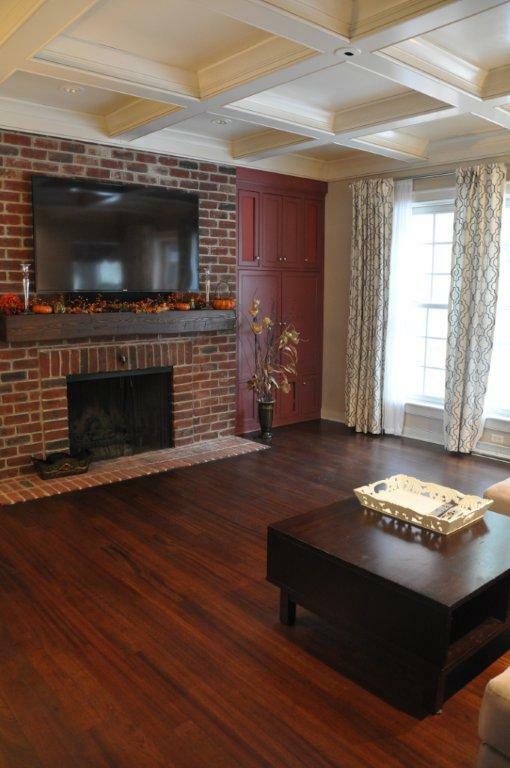 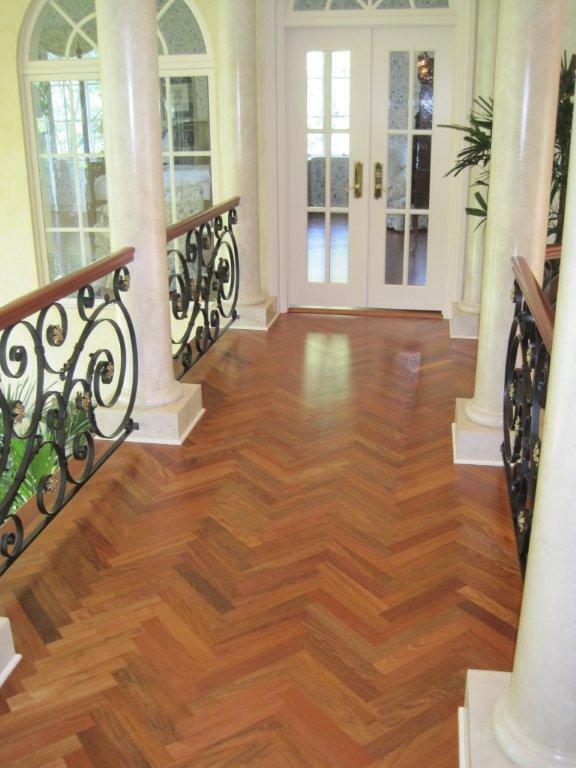 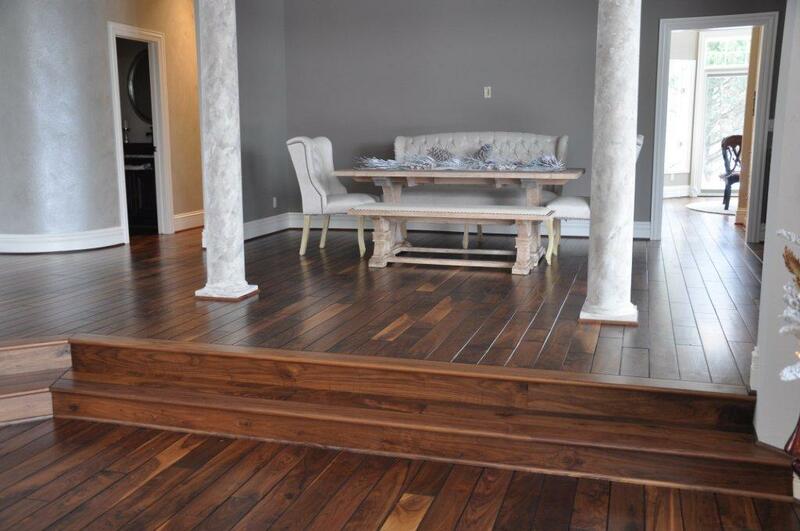 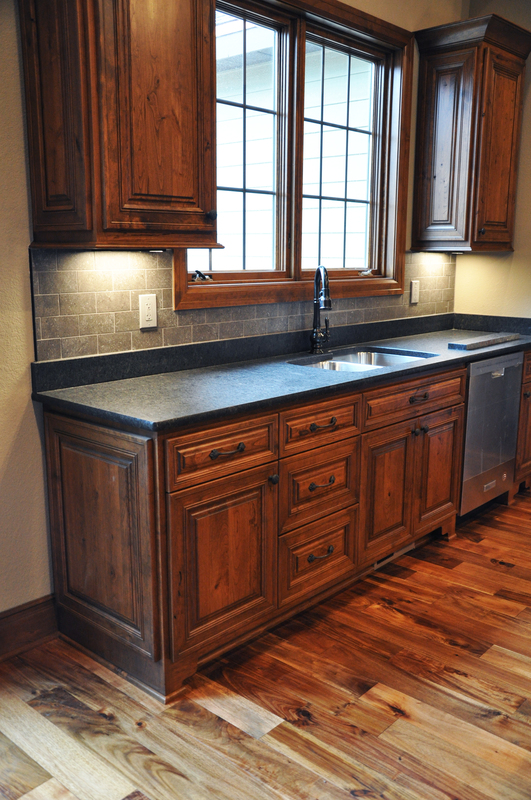 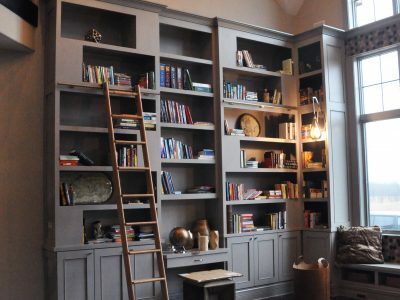 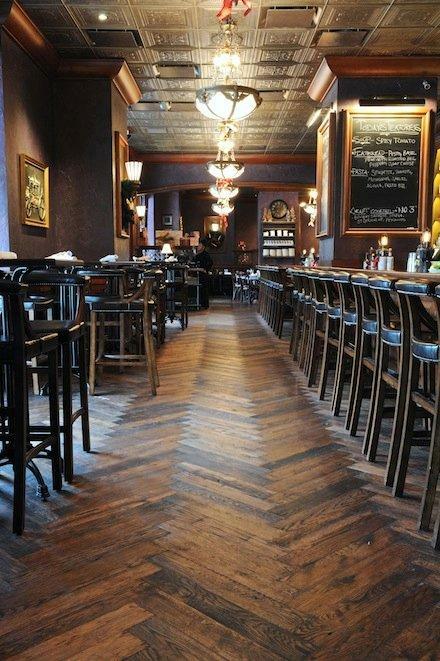 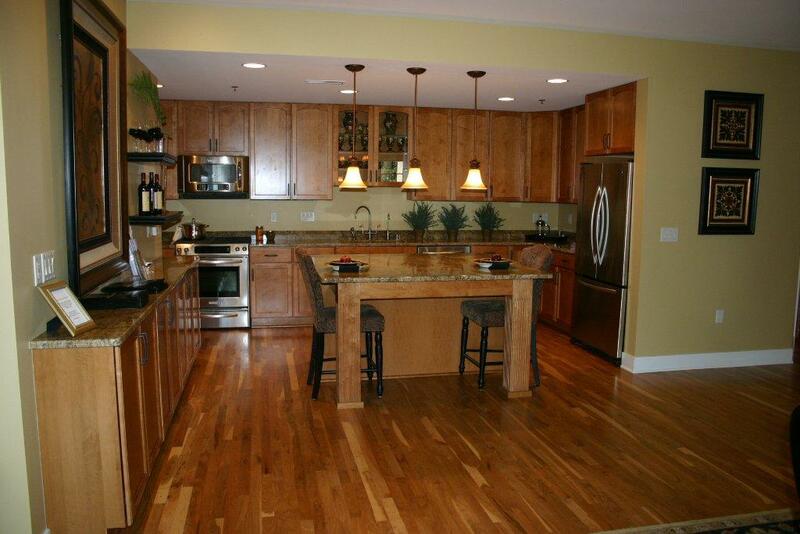 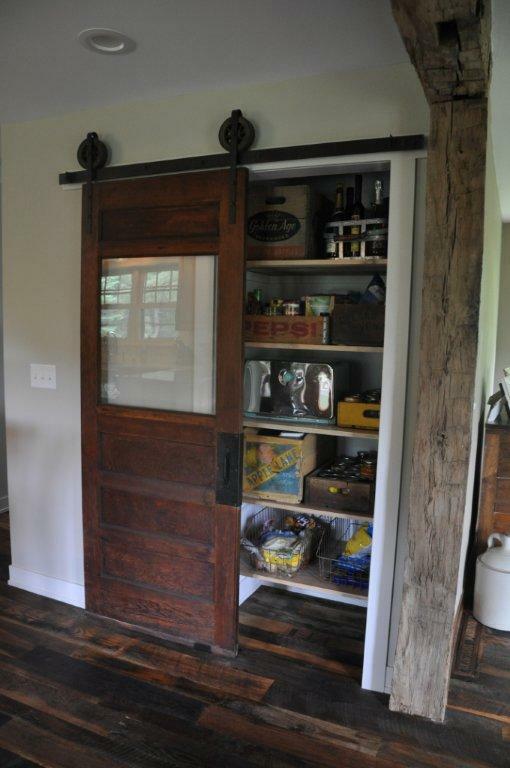 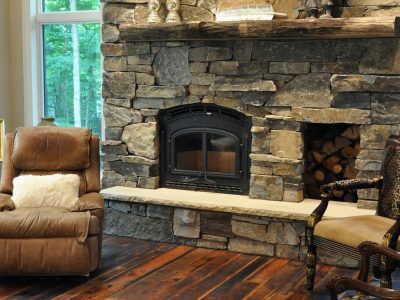 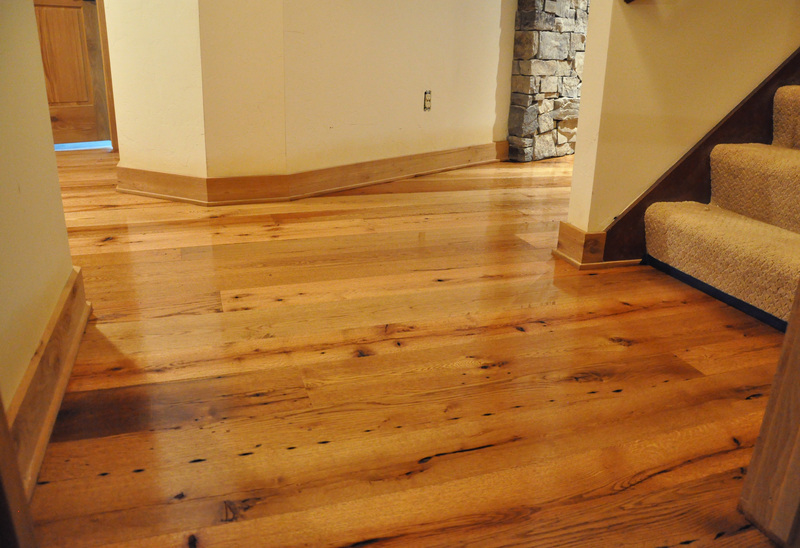 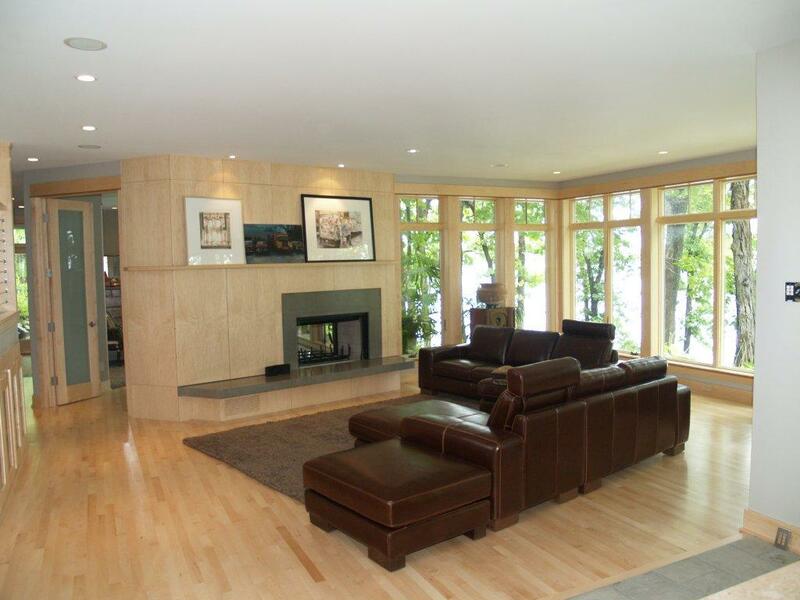 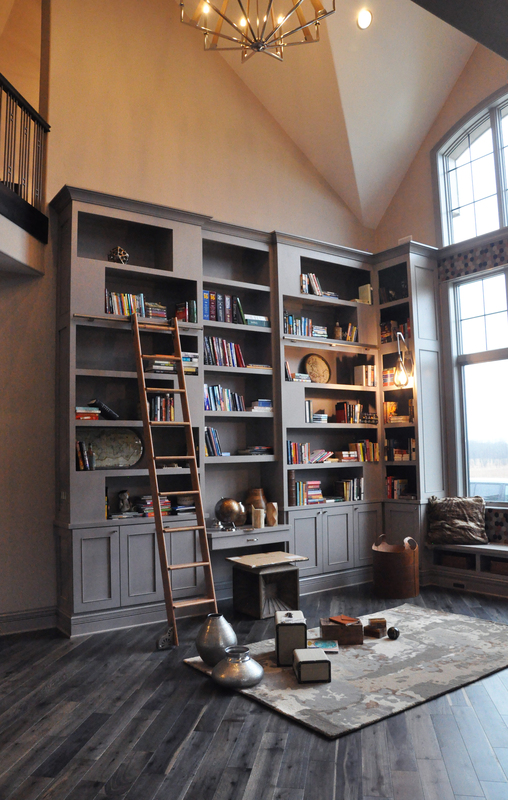 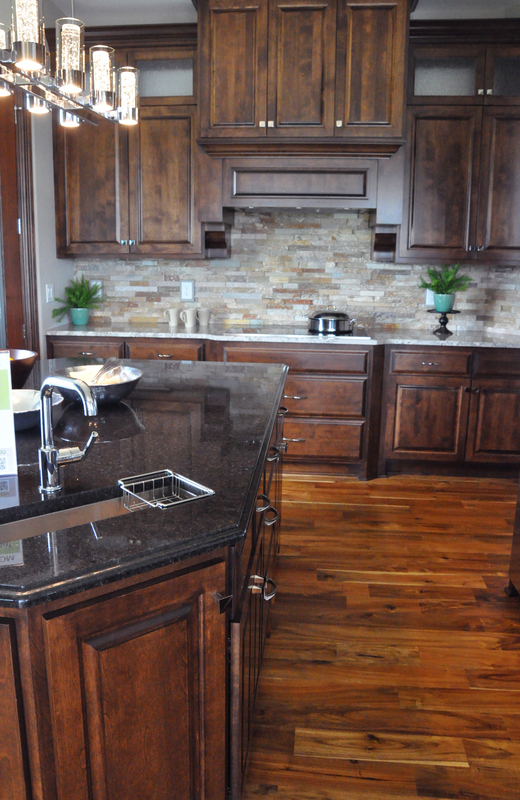 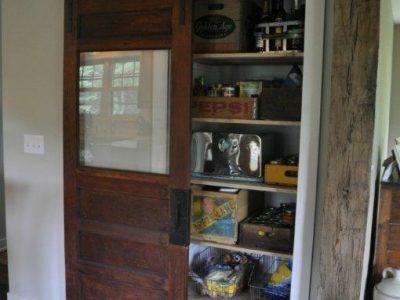 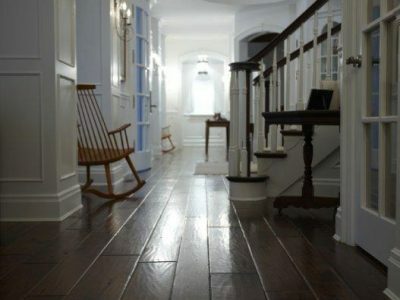 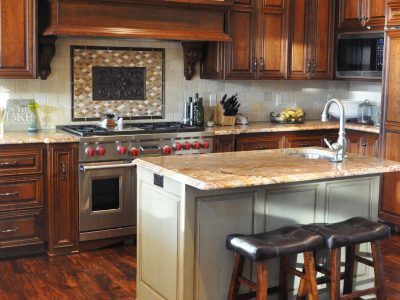 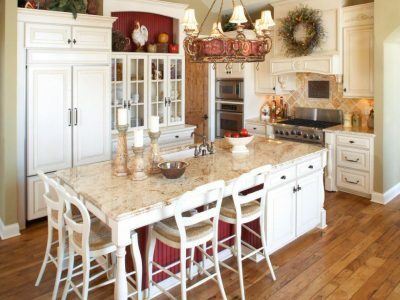 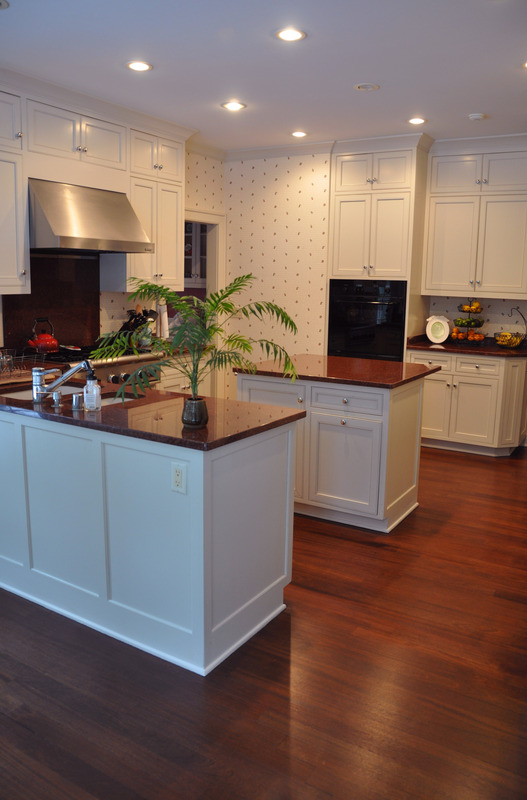 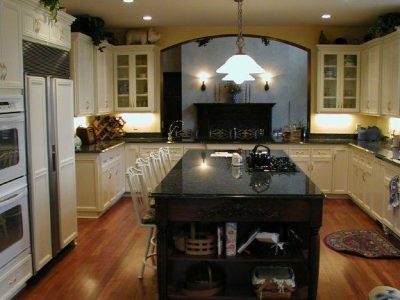 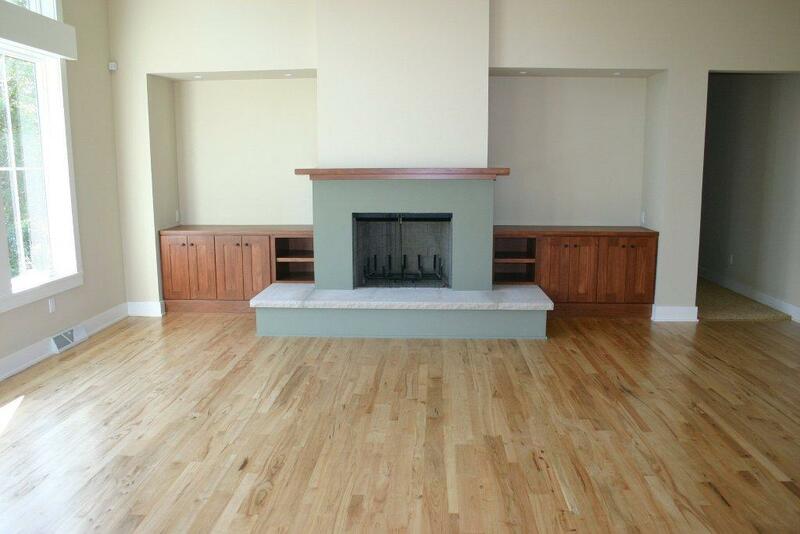 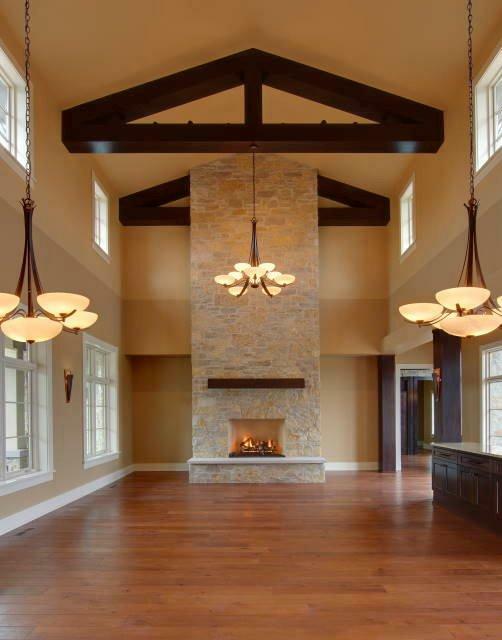 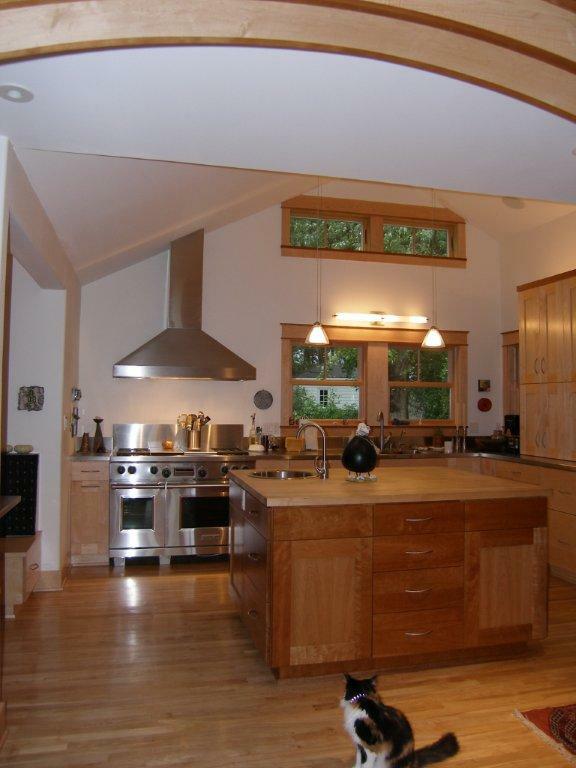 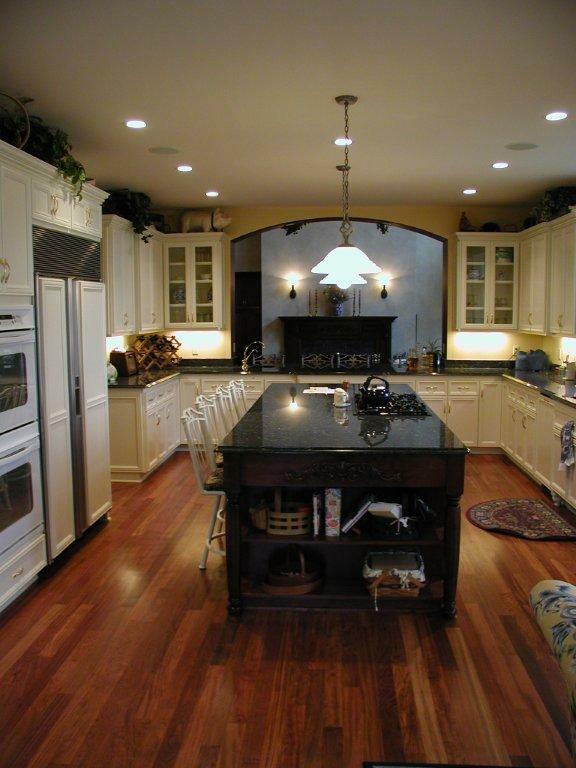 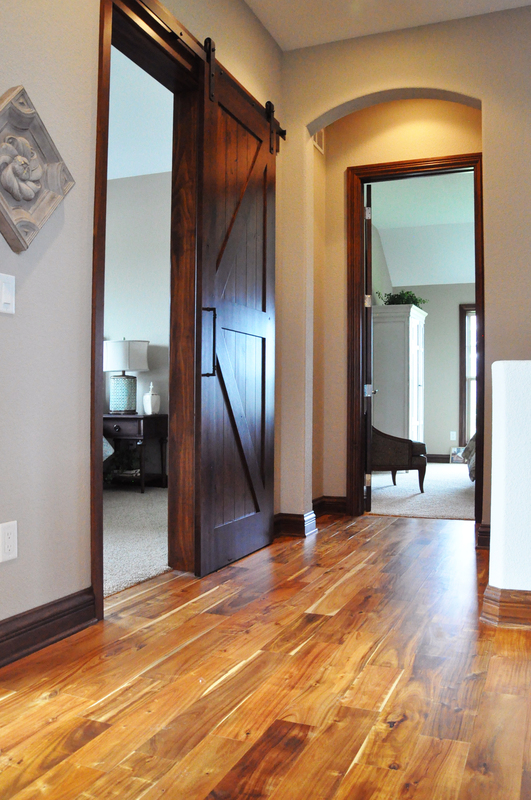 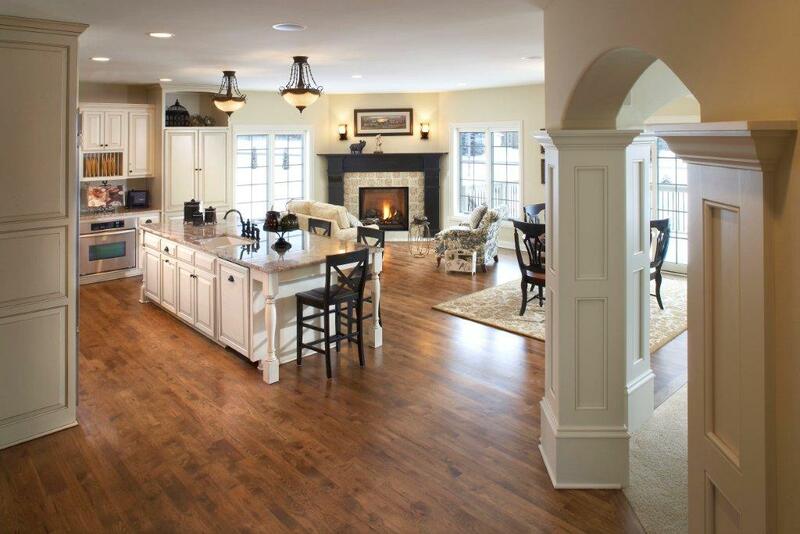 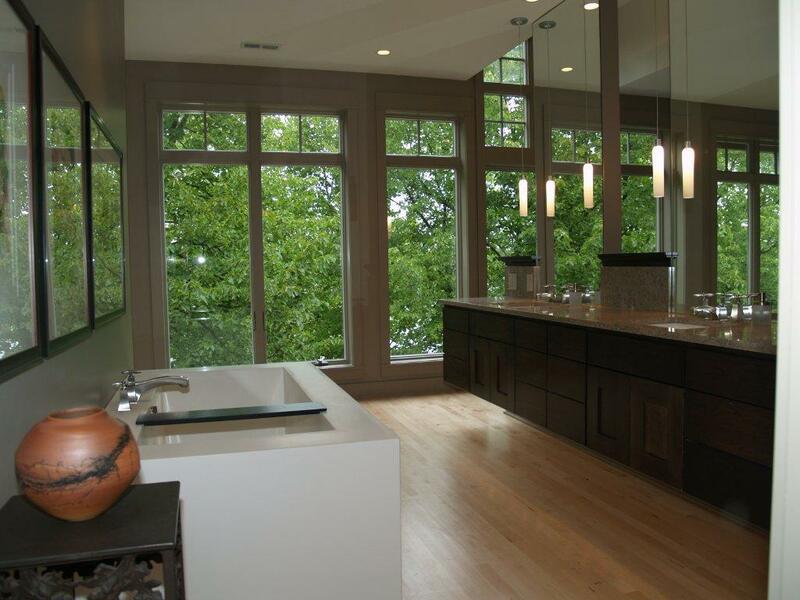 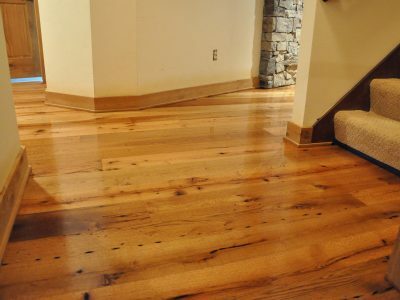 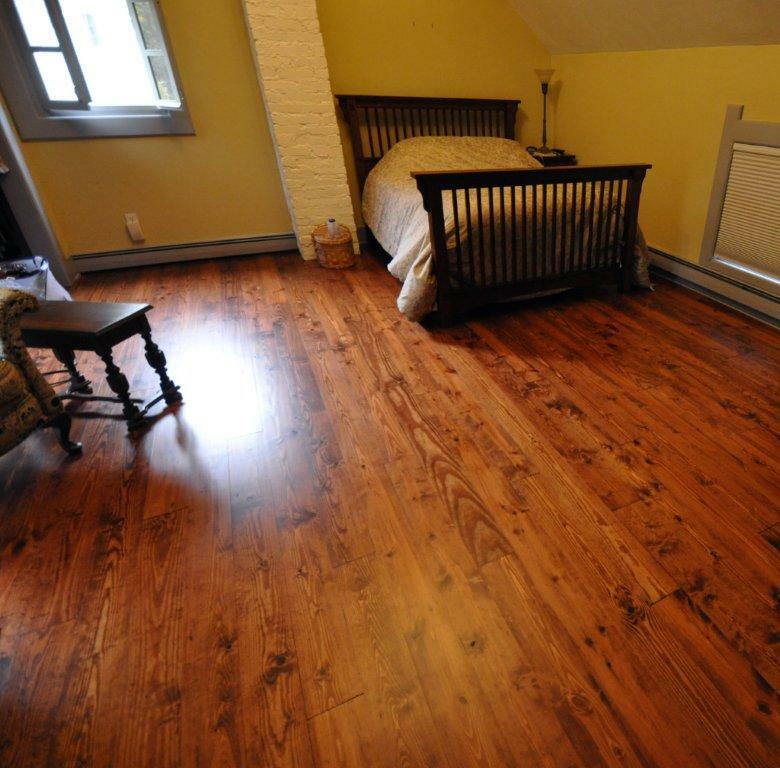 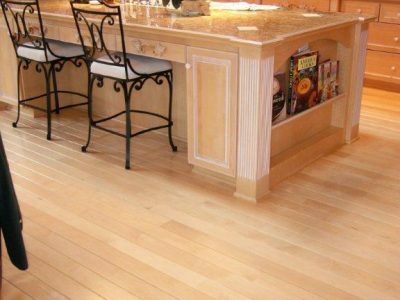 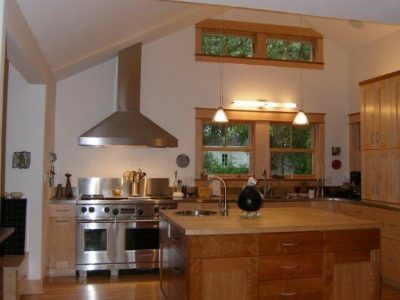 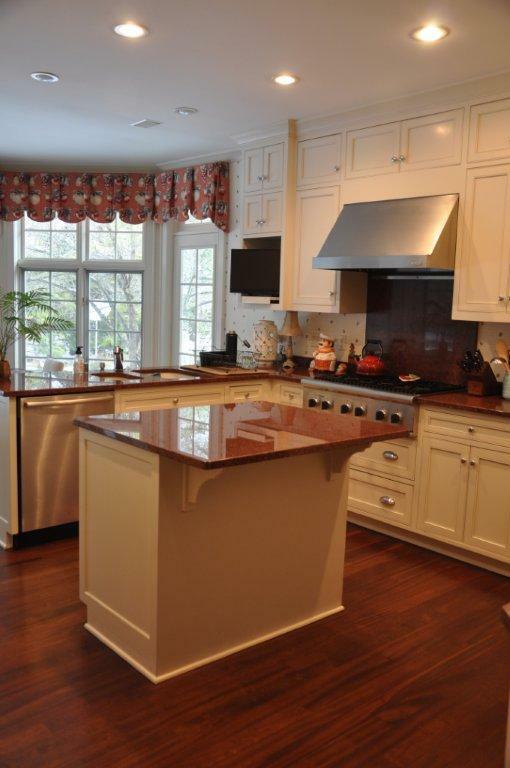 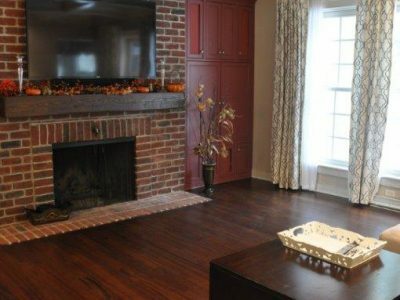 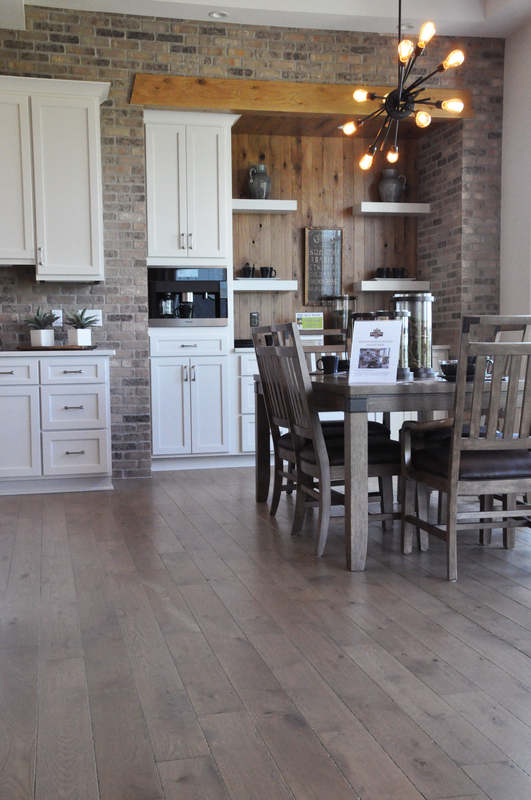 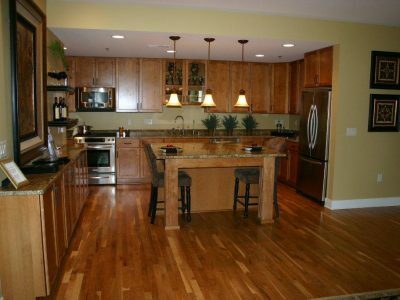 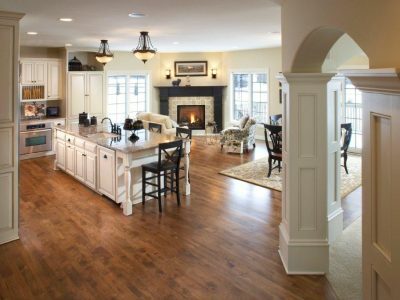 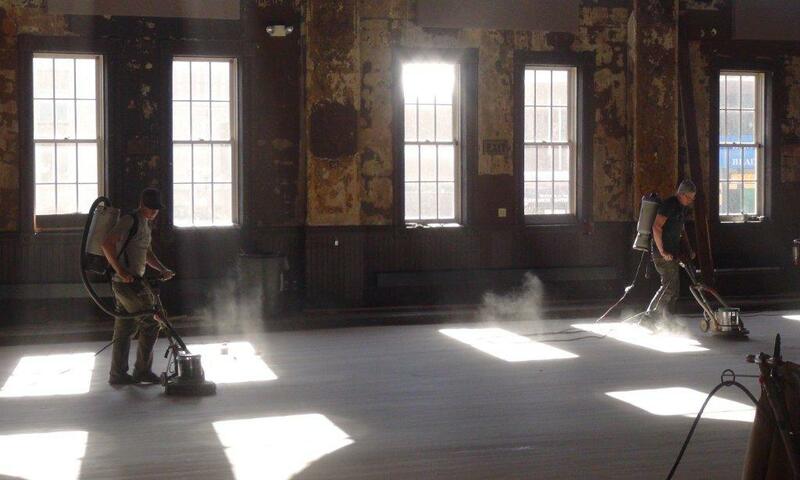 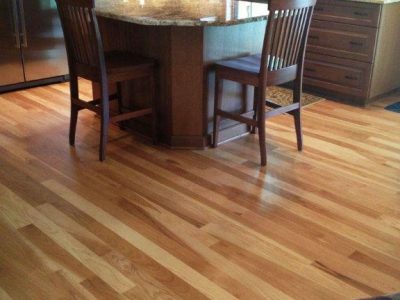 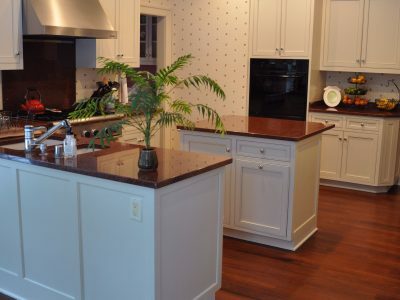 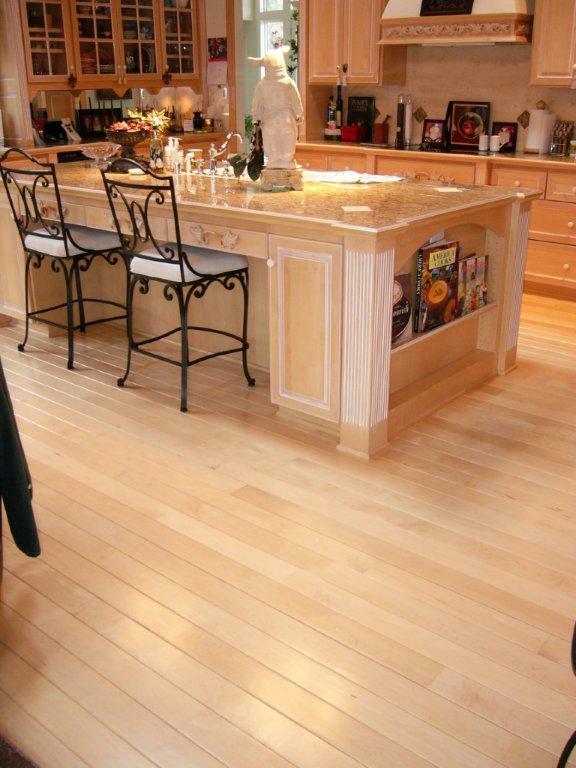 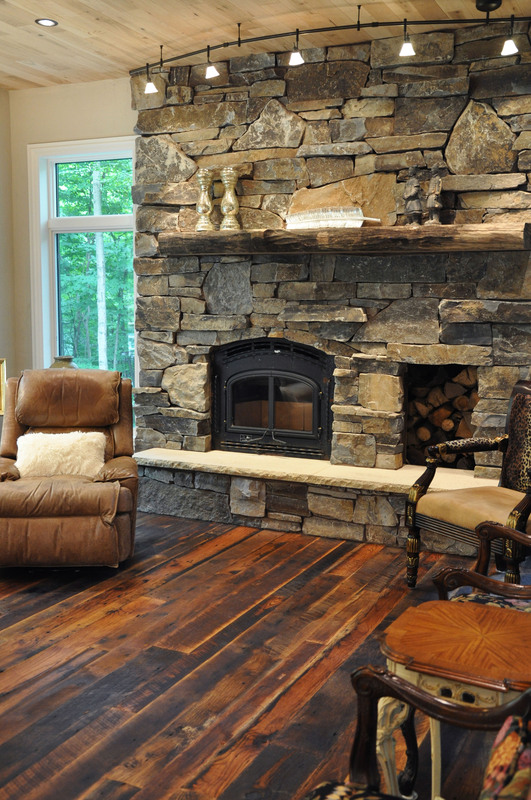 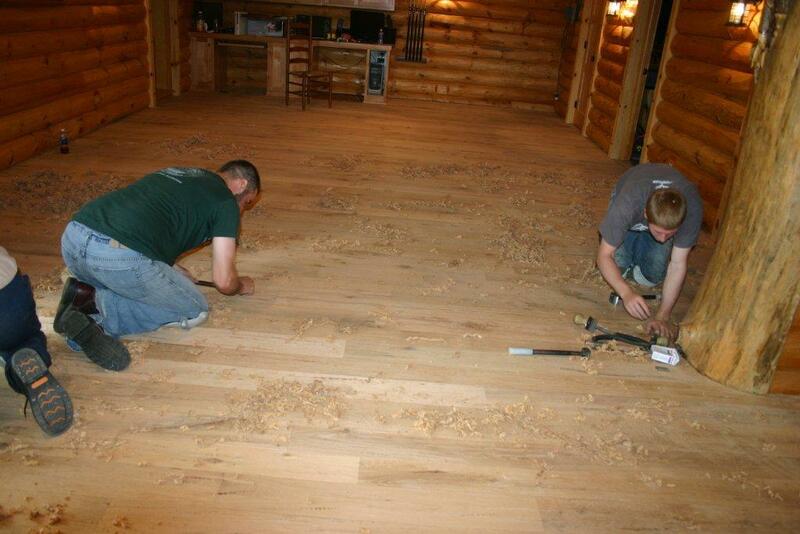 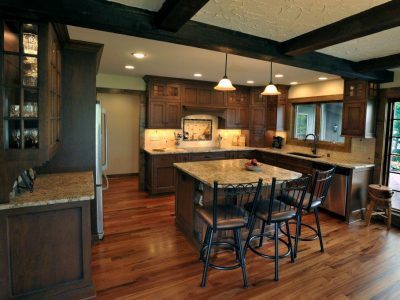 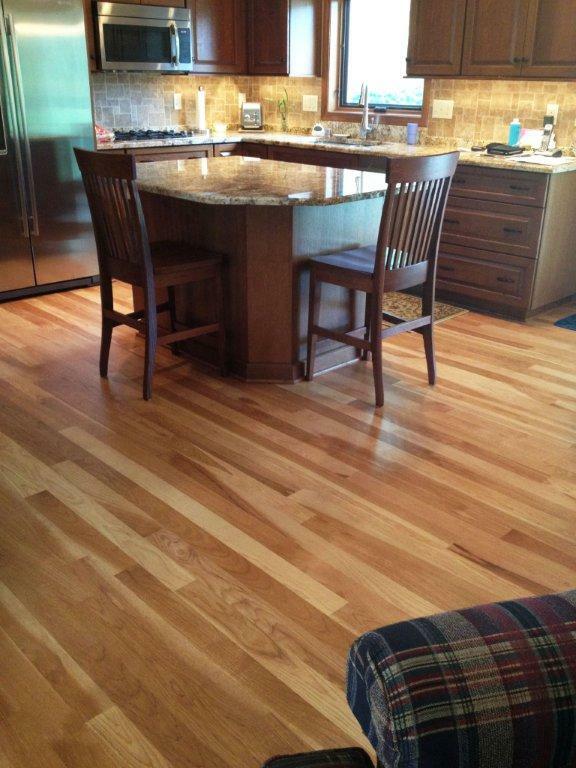 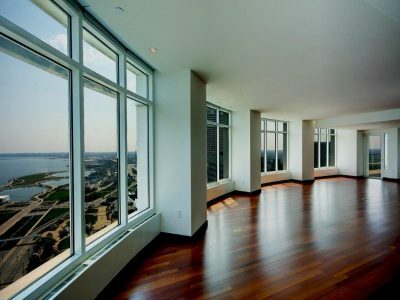 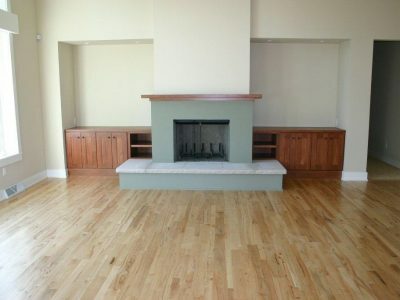 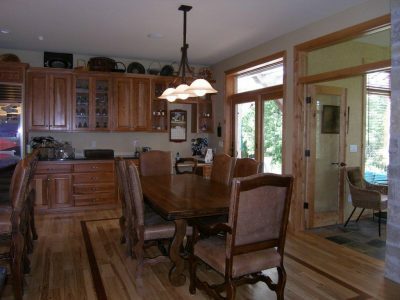 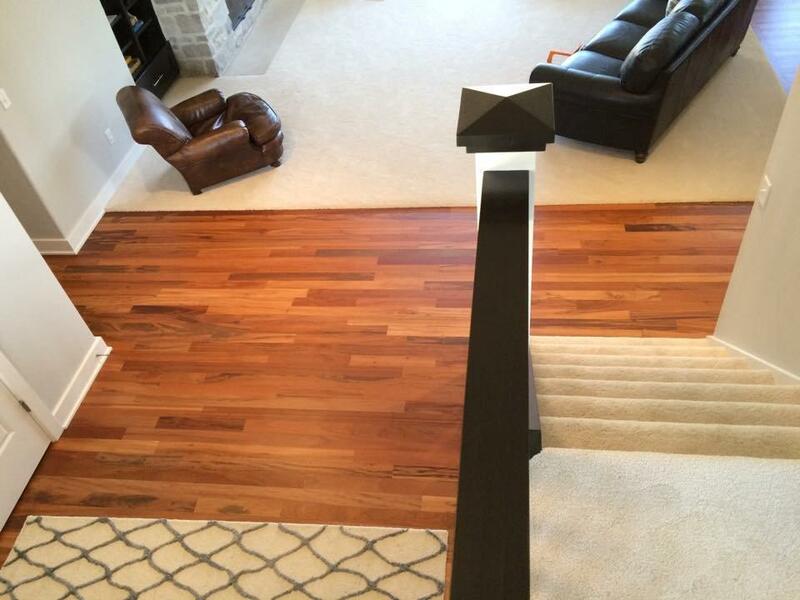 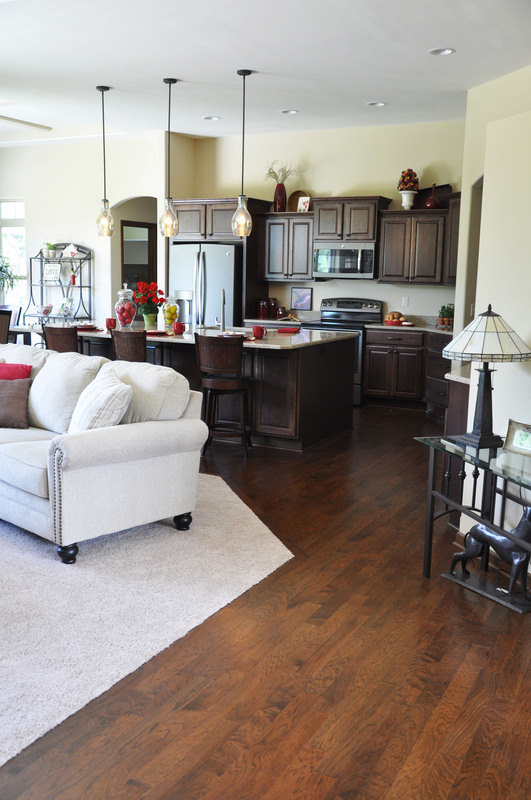 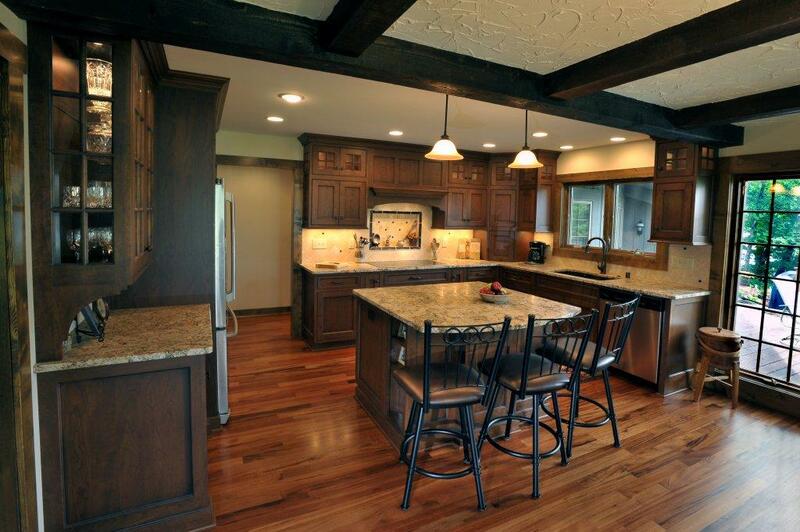 Our selection includes a full set of solid hardwoods and engineered products to meet any needs. 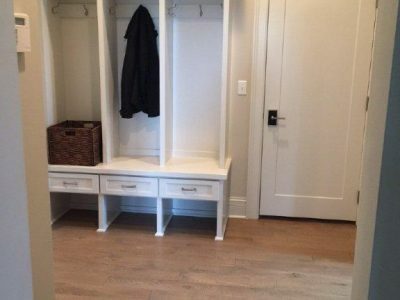 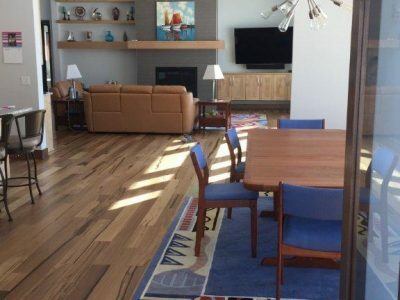 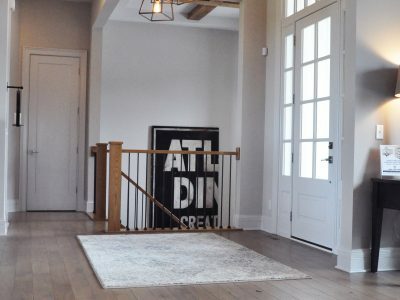 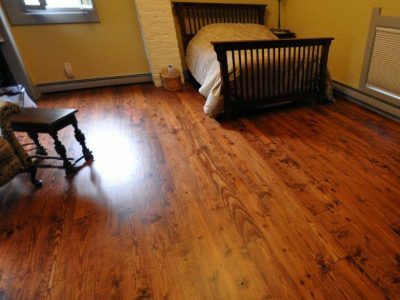 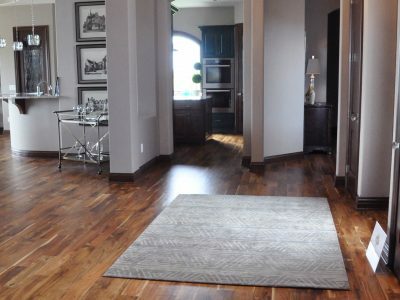 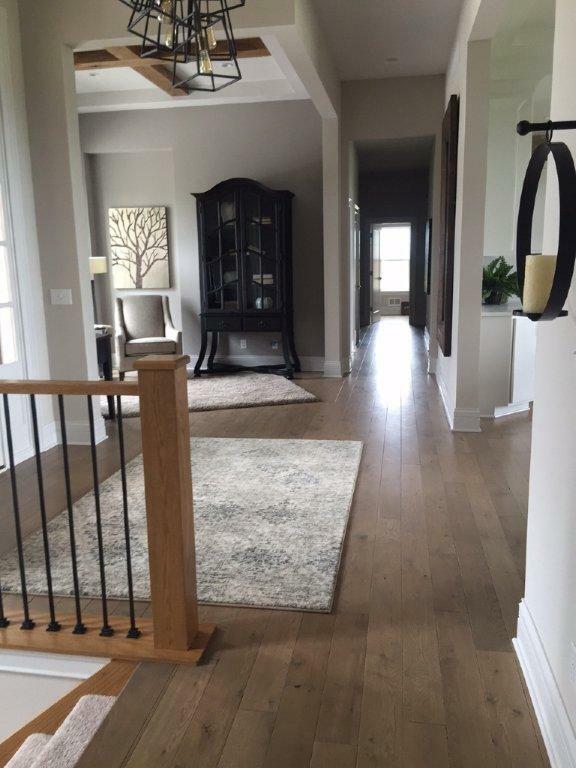 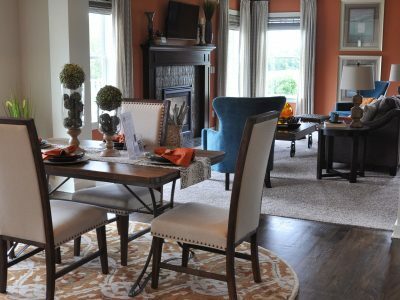 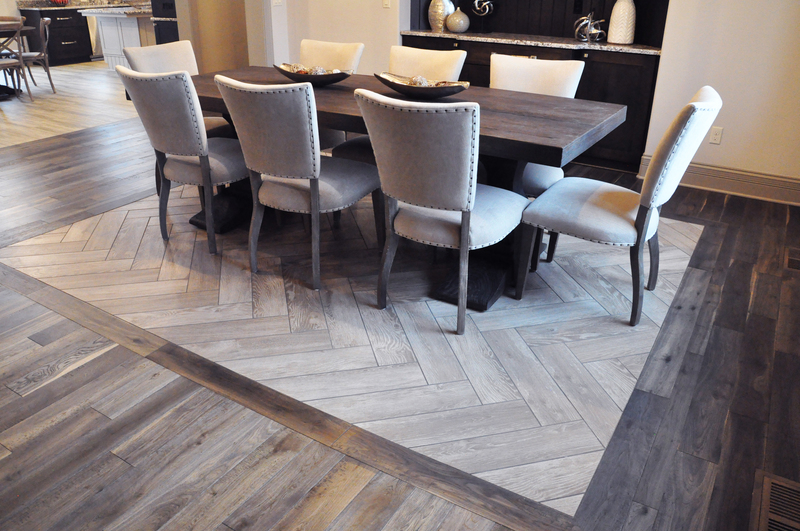 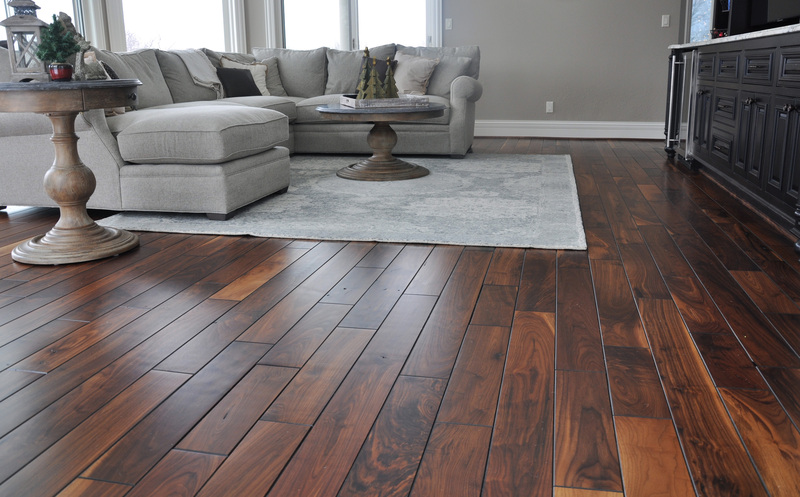 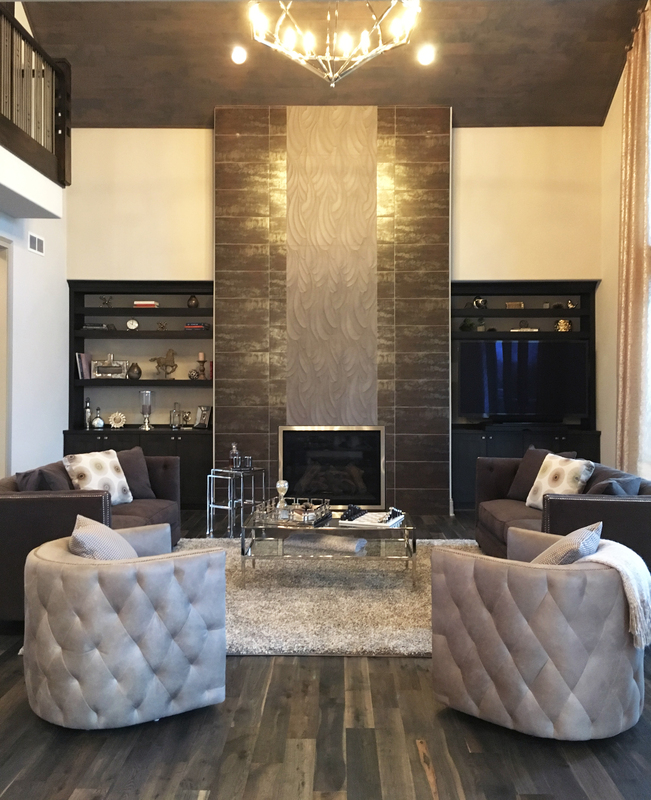 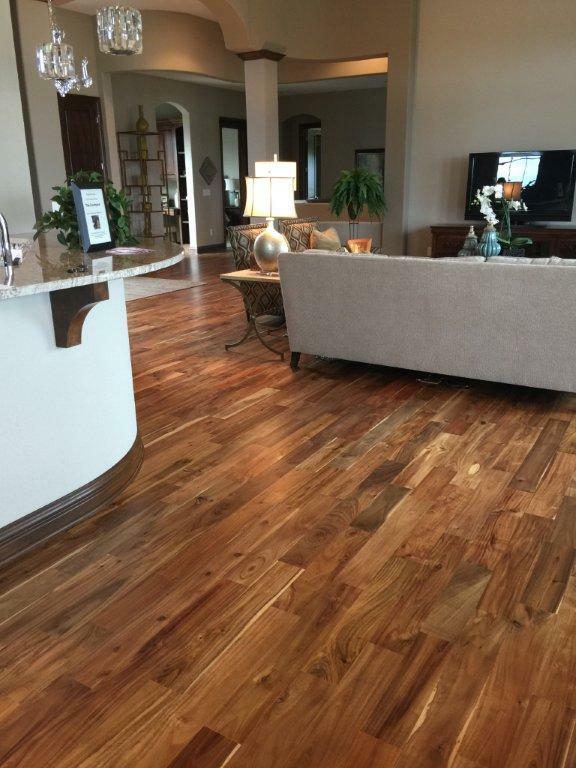 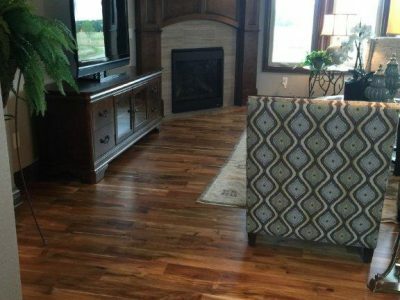 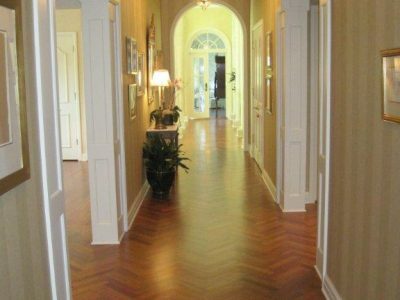 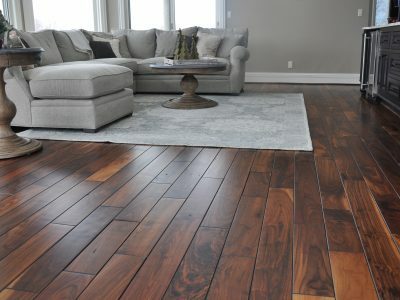 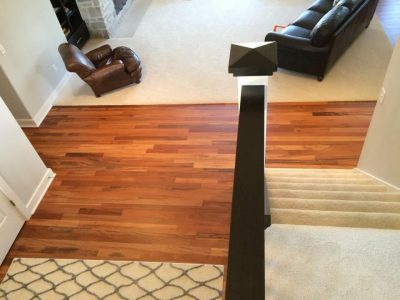 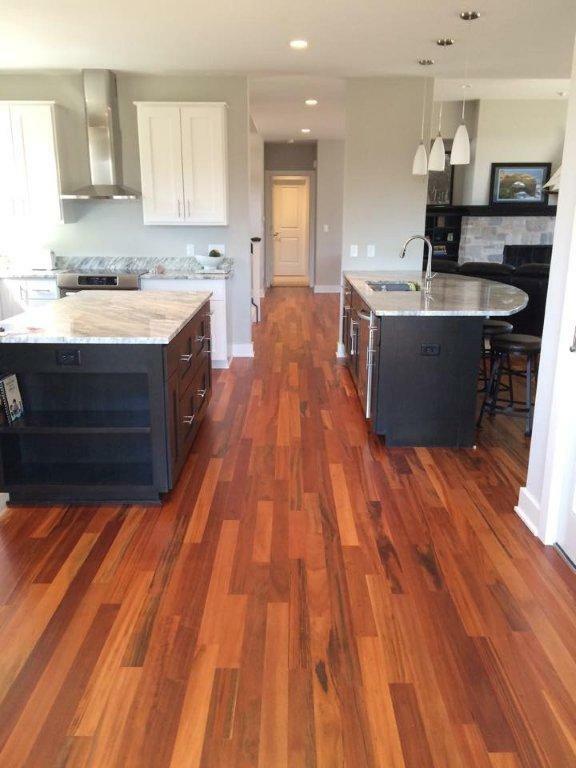 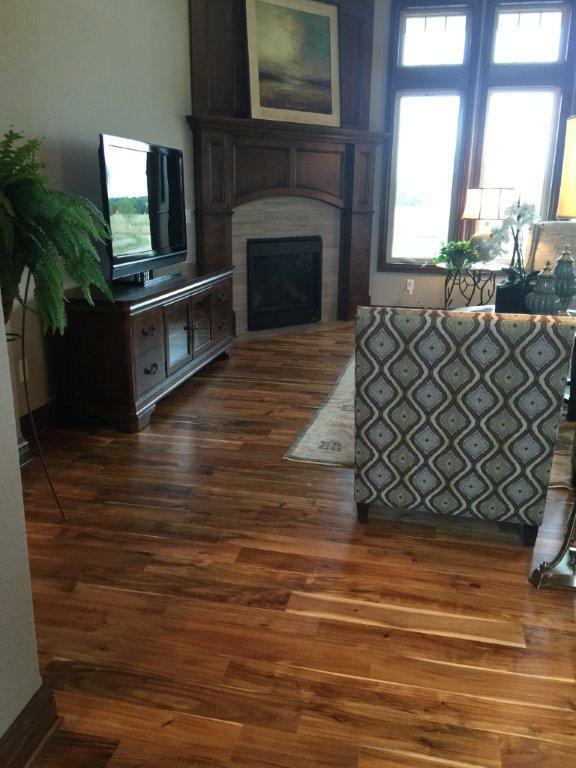 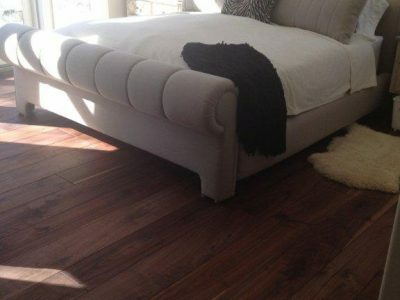 We are fortunate to have access to the latest finishes, options, and hardwood flooring products, which we believe are the best ever available in our industry. 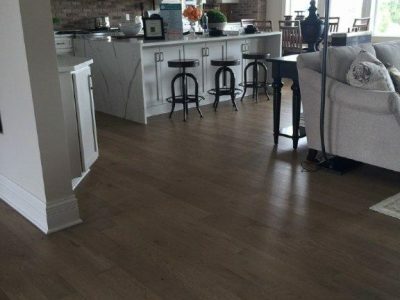 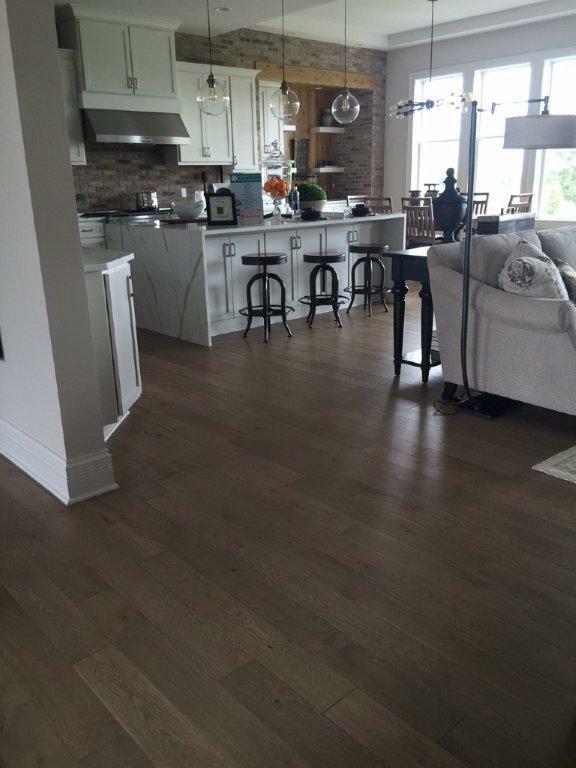 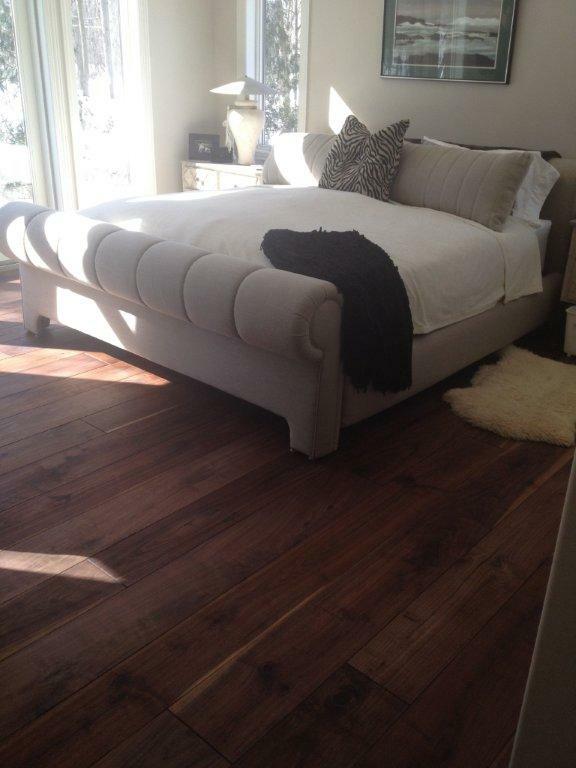 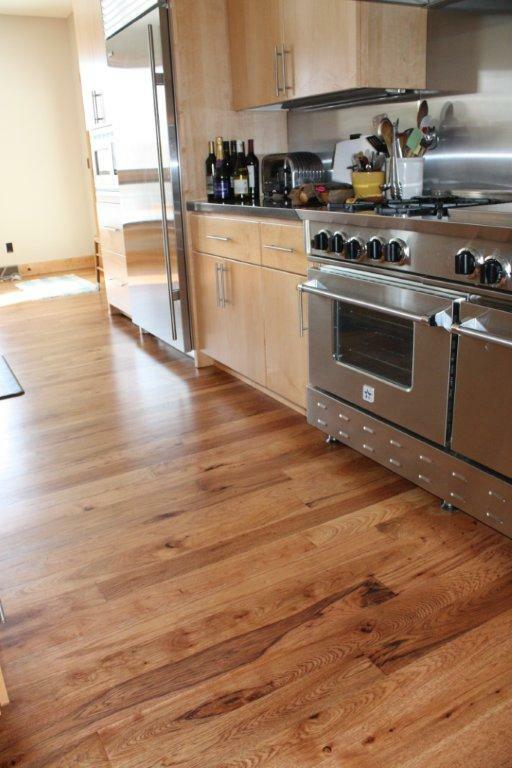 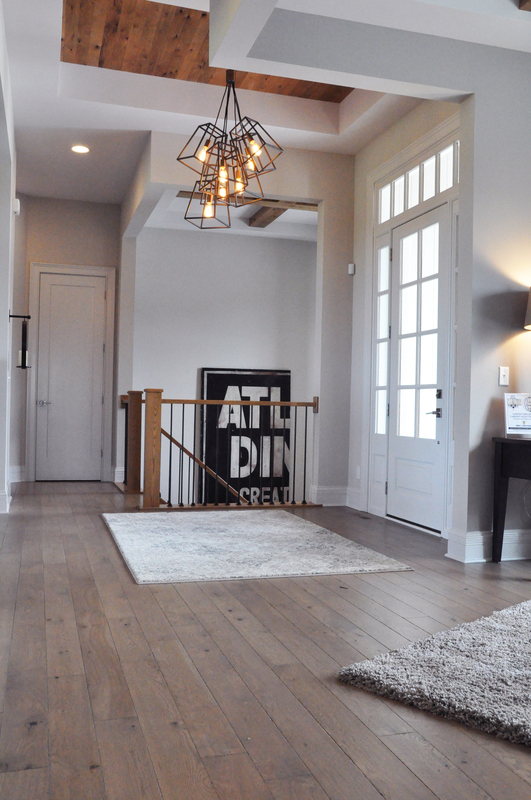 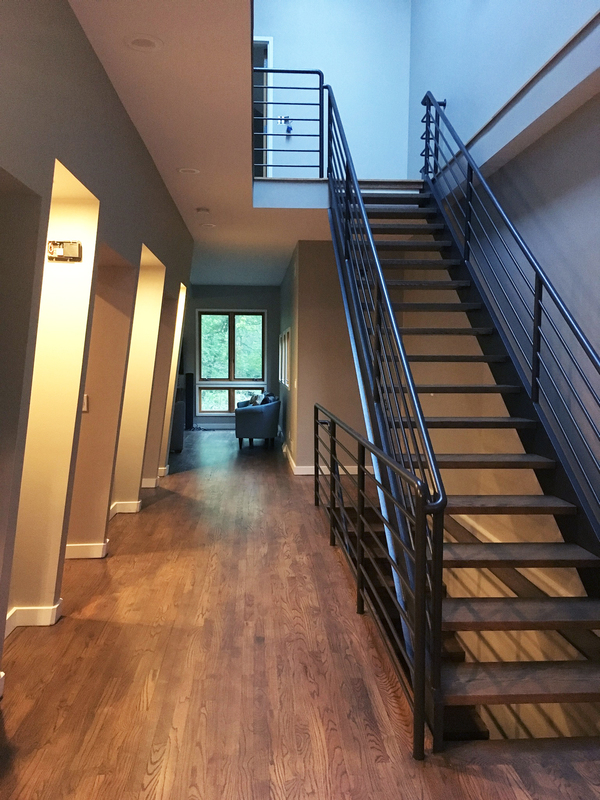 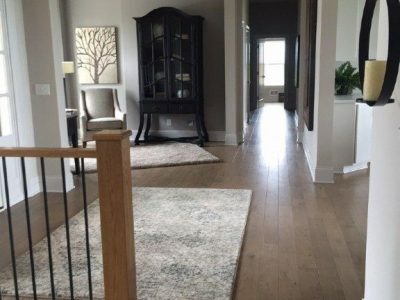 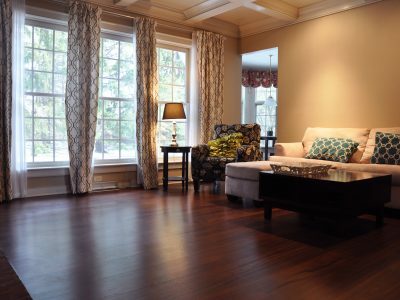 Our hardwood floors can be finished on site or installed prefinished, based on your preference and needs, so rely on our award-winning expertise for maximum value and beautiful, long-lasting results. 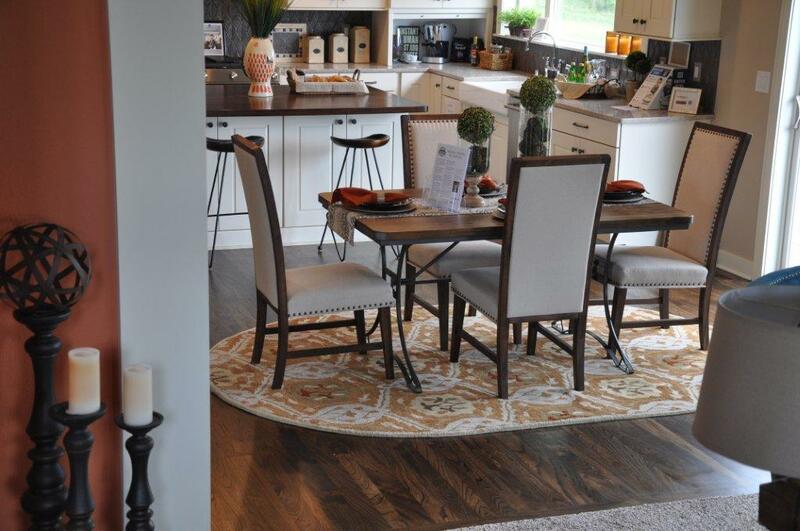 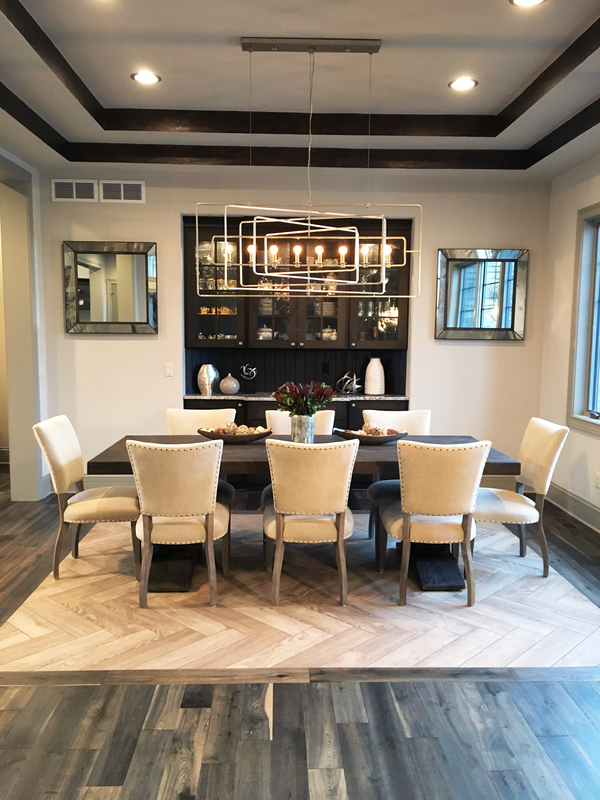 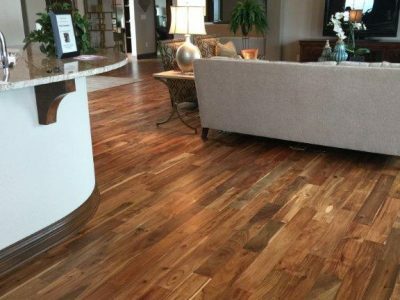 We encourage you to visit our modern showroom today to see samples of our prefinished hardwood flooring products and our site-finished hardwood flooring capabilities. 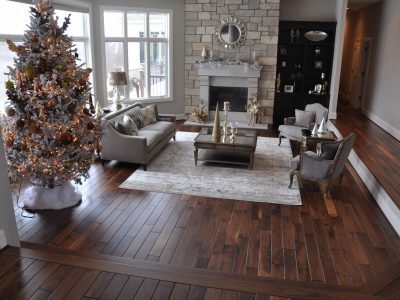 Choosing an unfinished hardwood flooring product from our huge selection brings a range of benefits, depending on your needs. 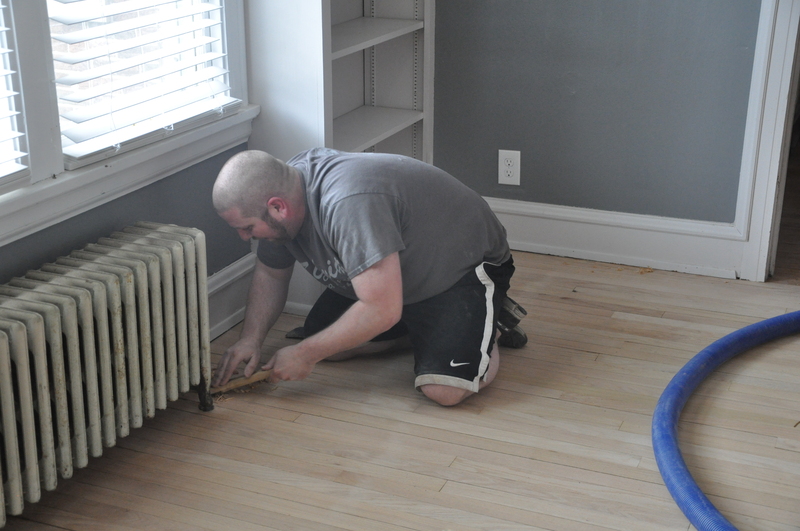 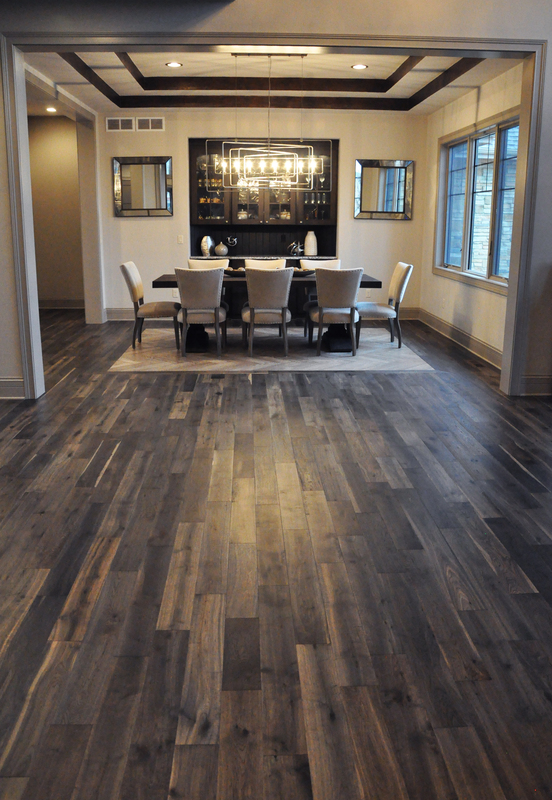 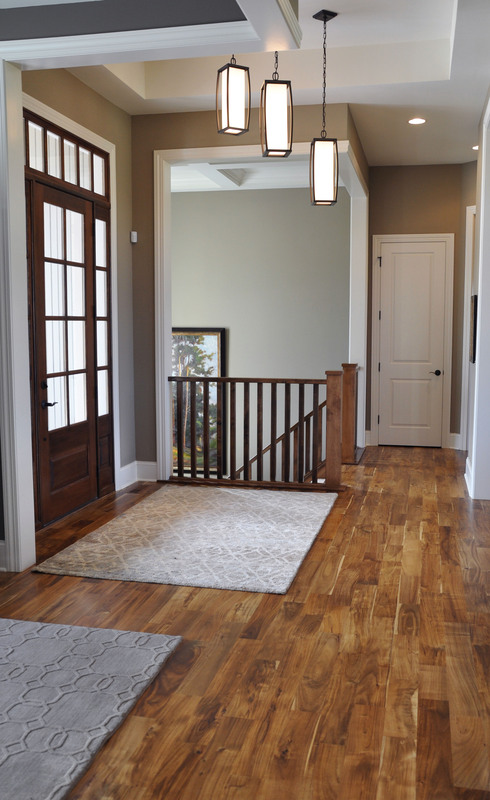 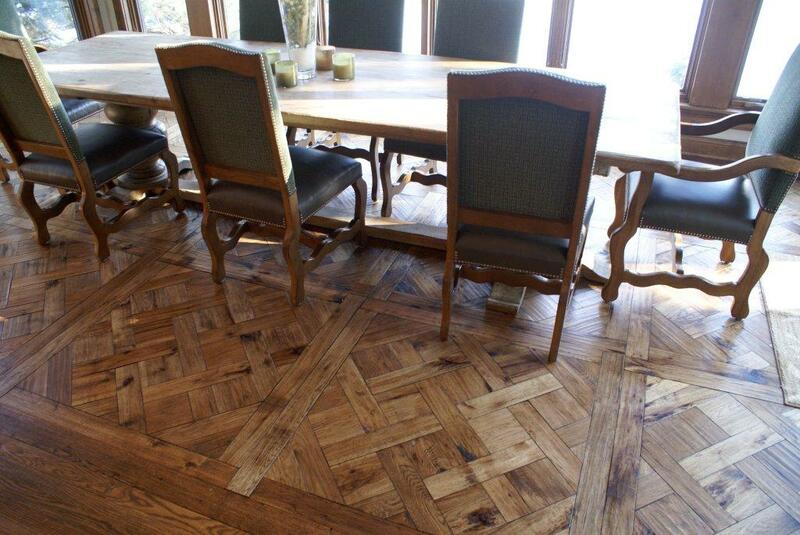 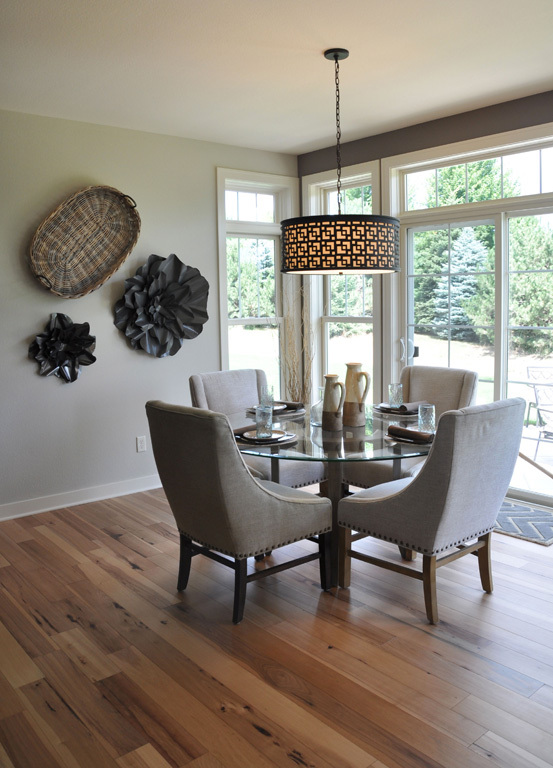 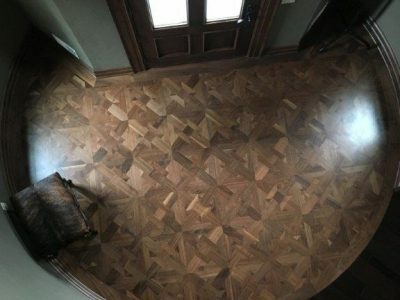 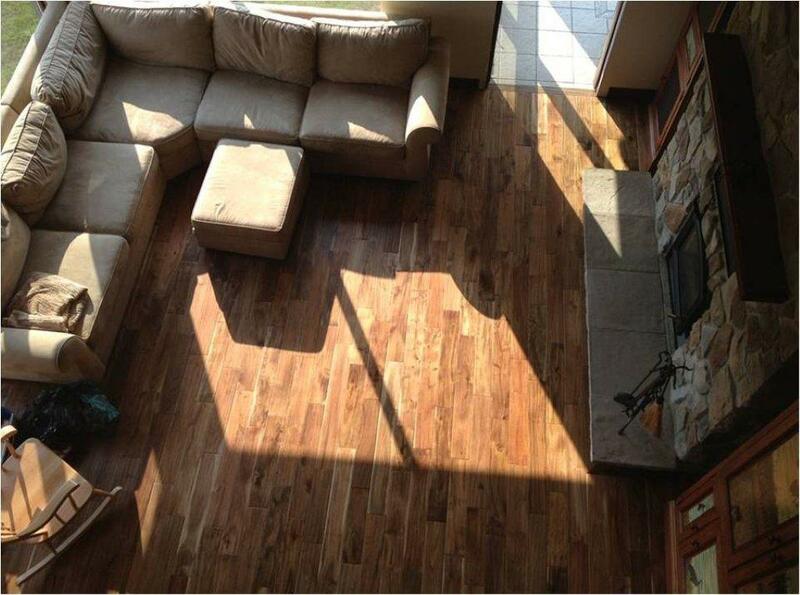 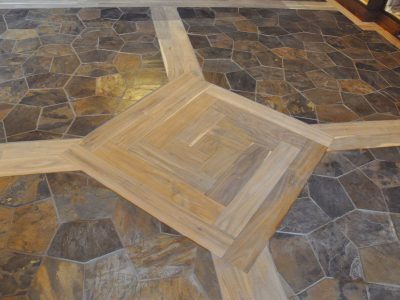 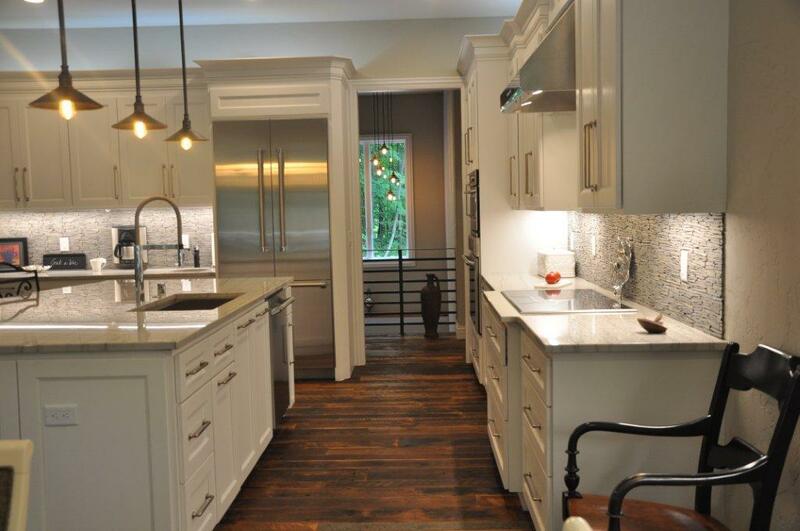 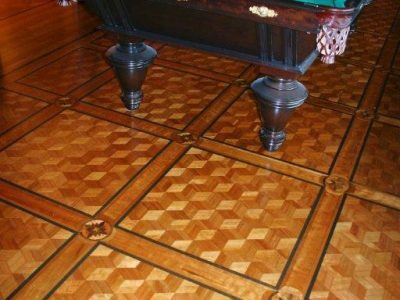 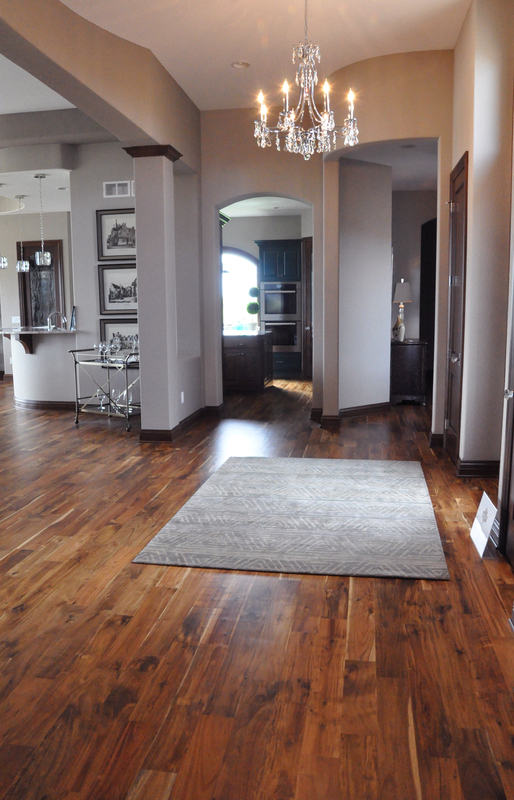 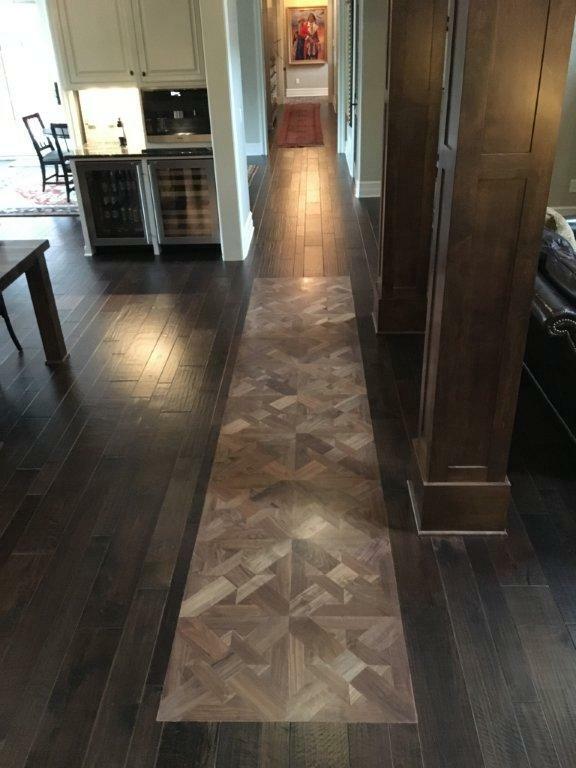 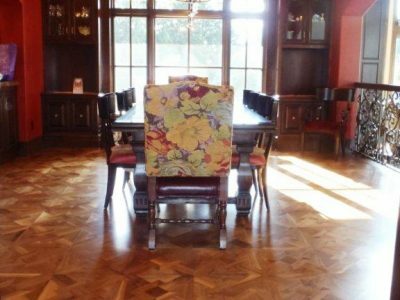 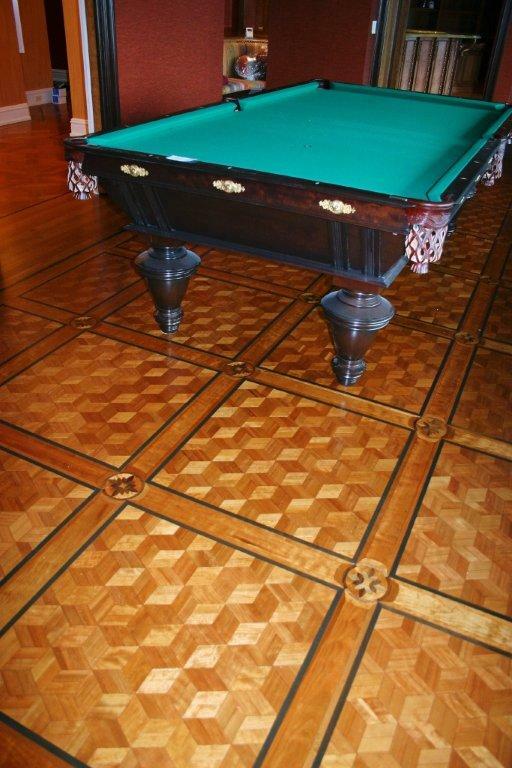 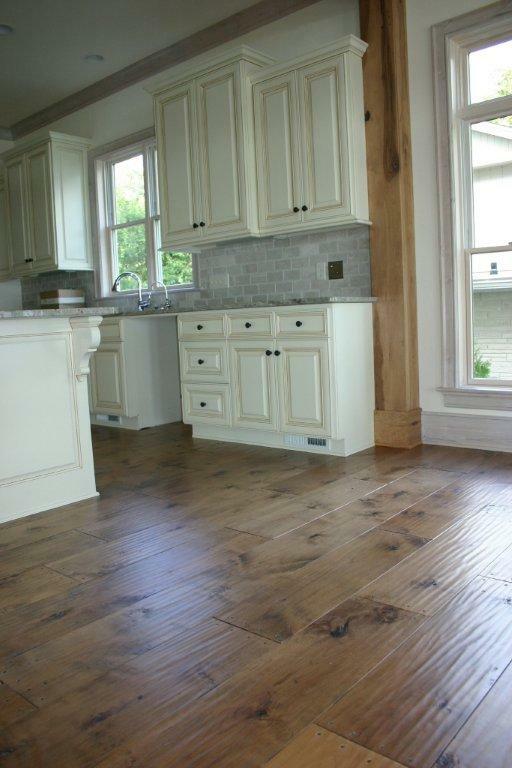 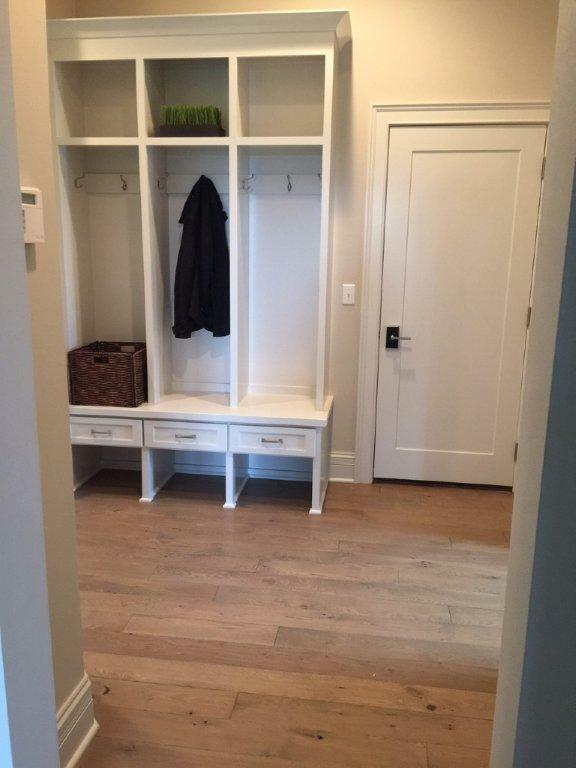 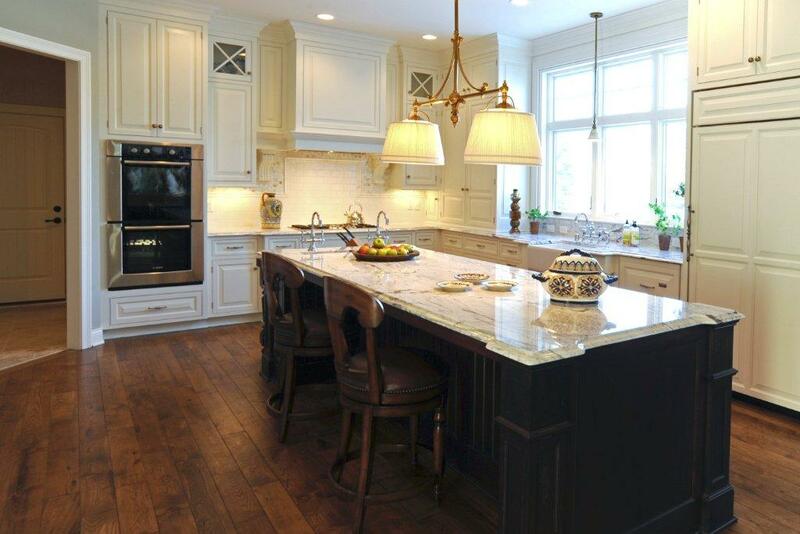 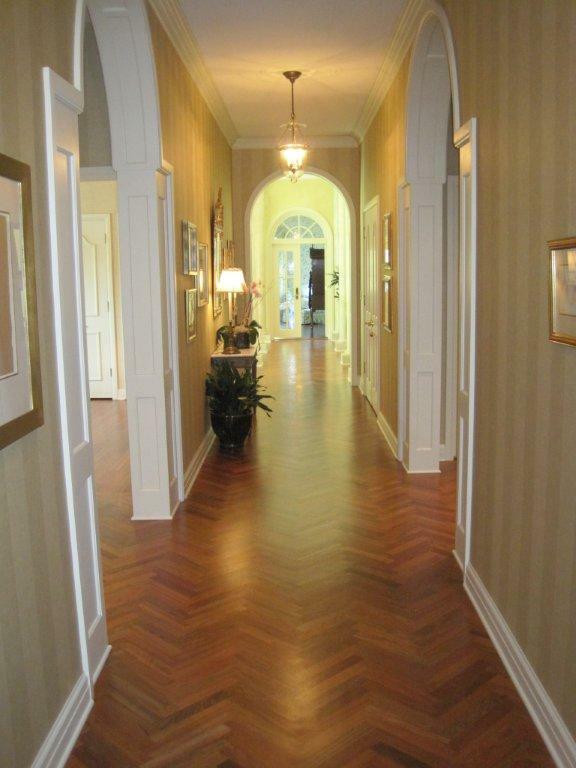 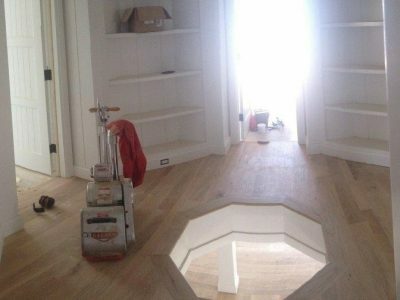 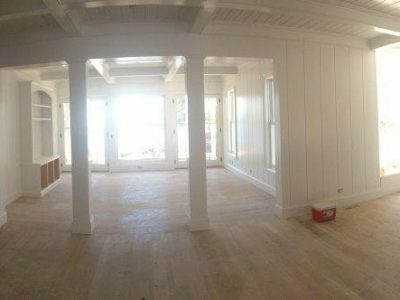 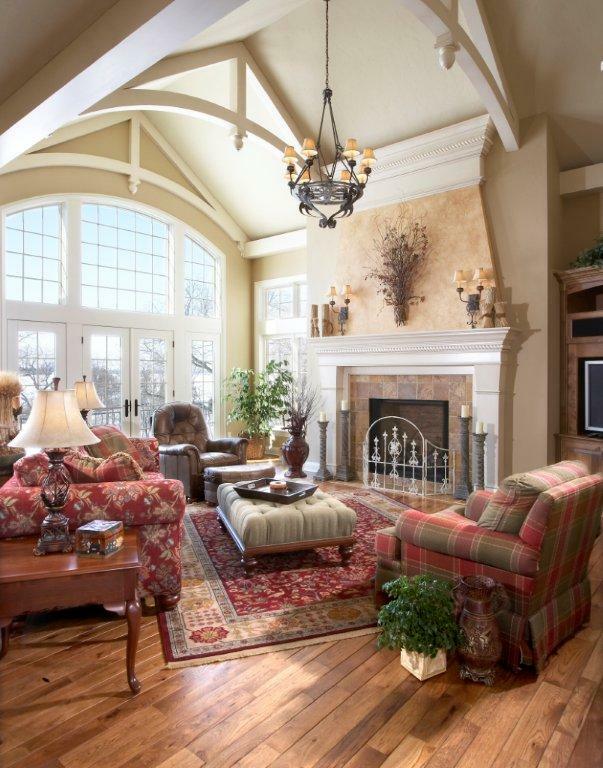 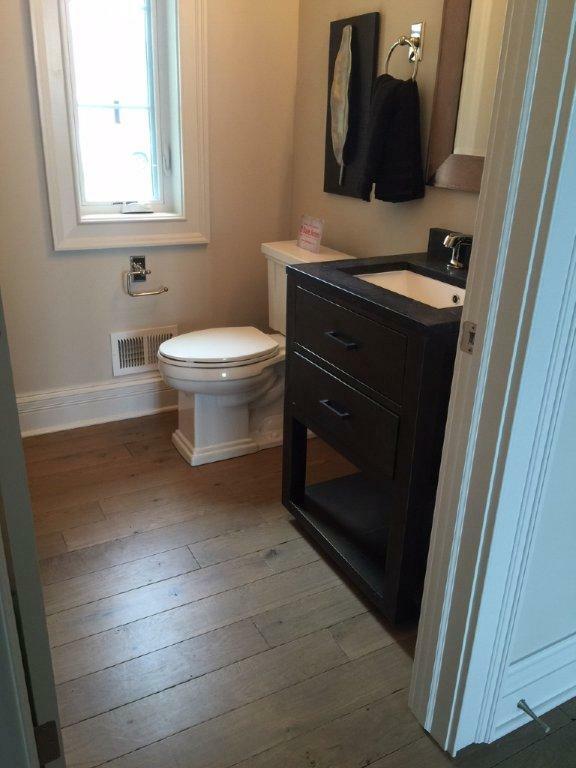 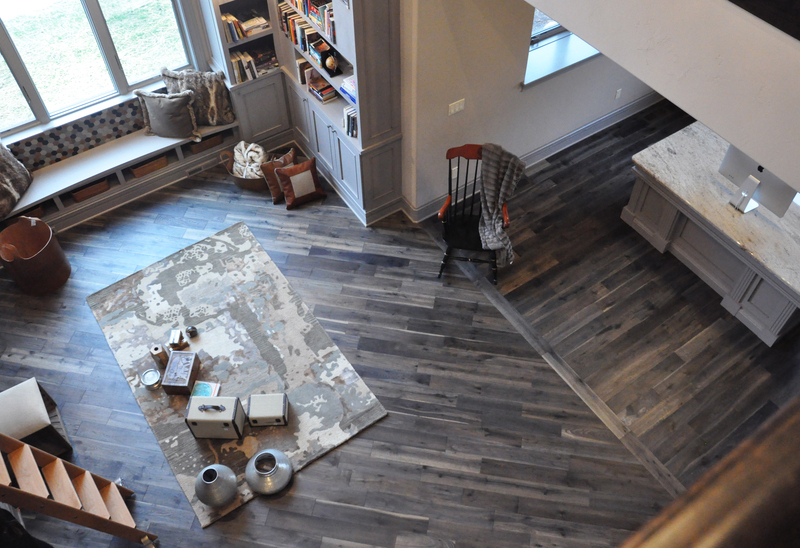 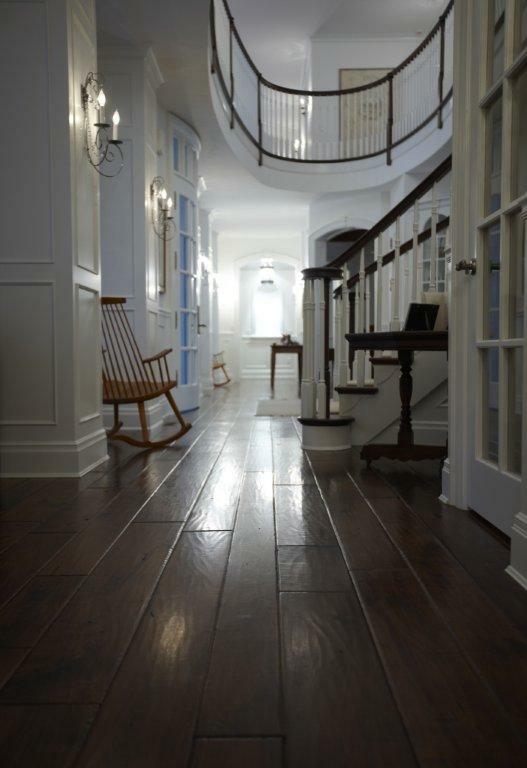 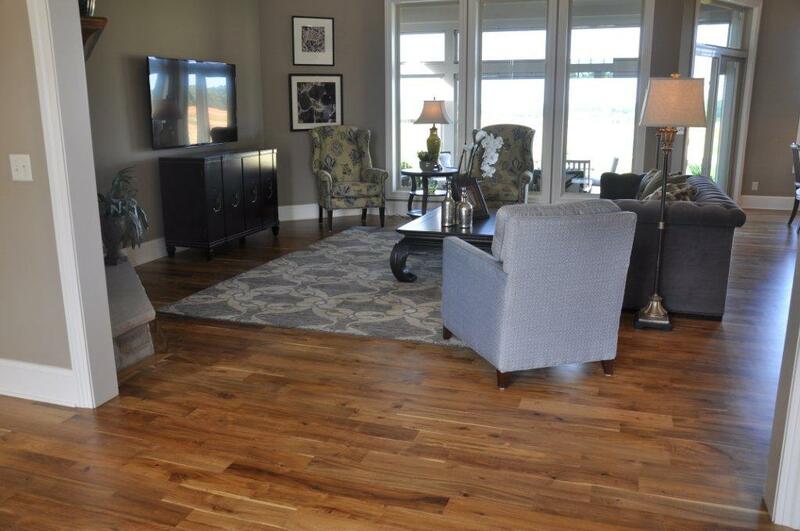 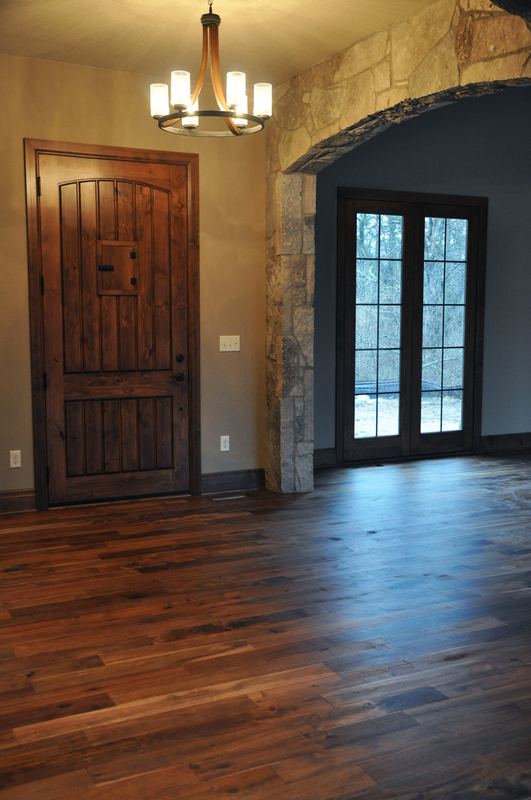 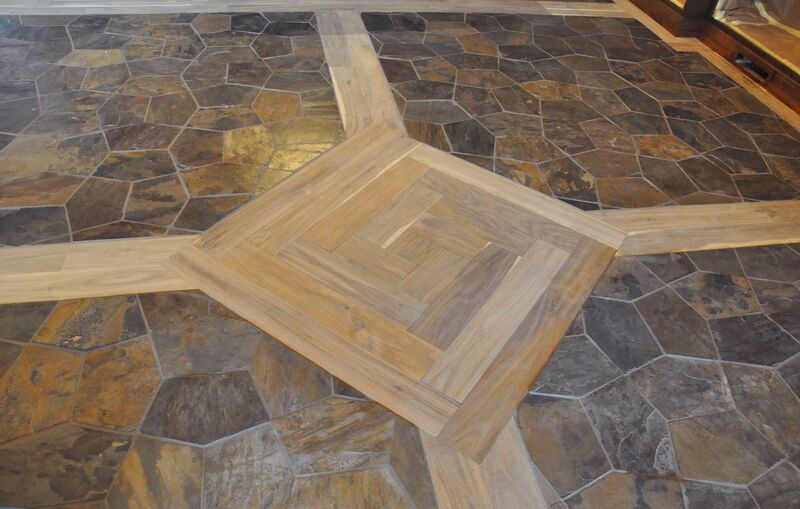 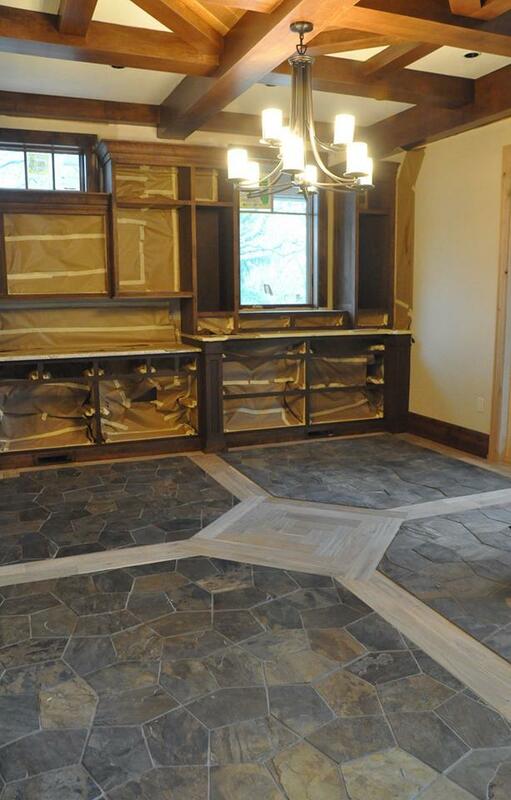 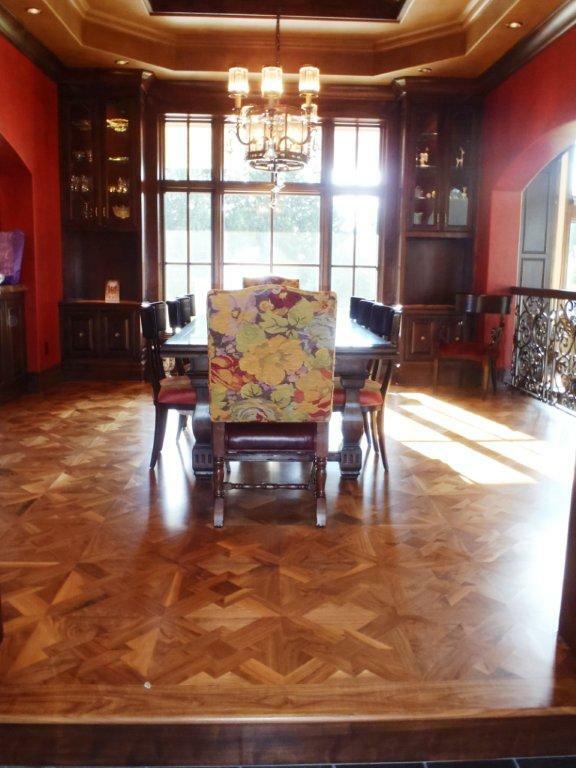 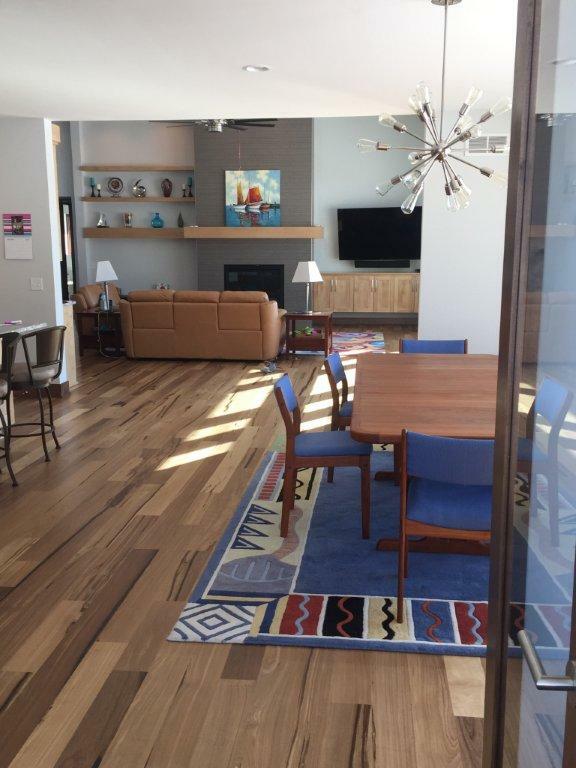 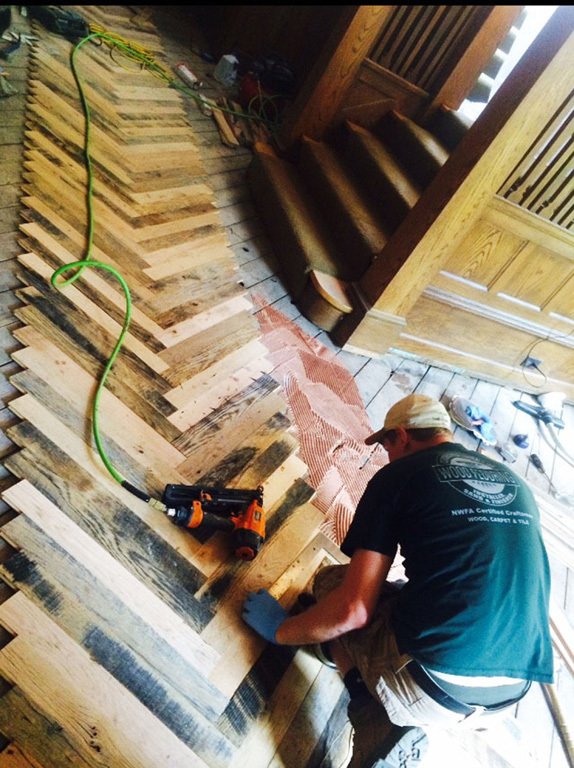 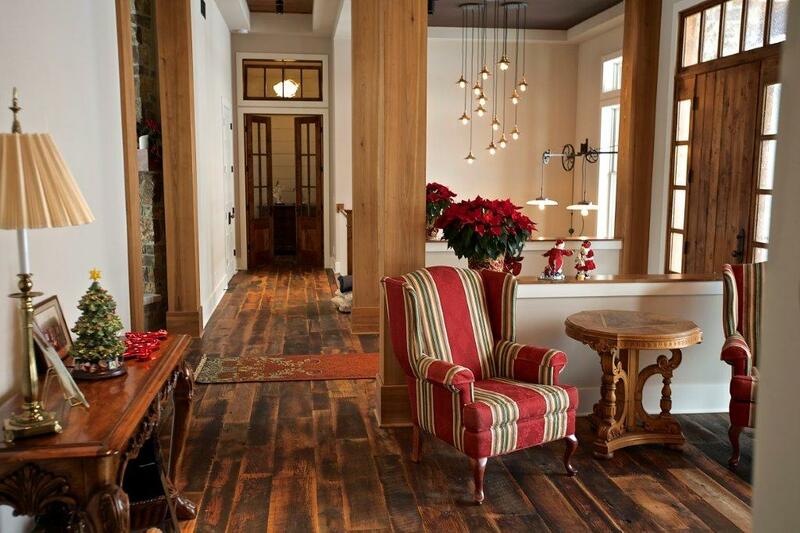 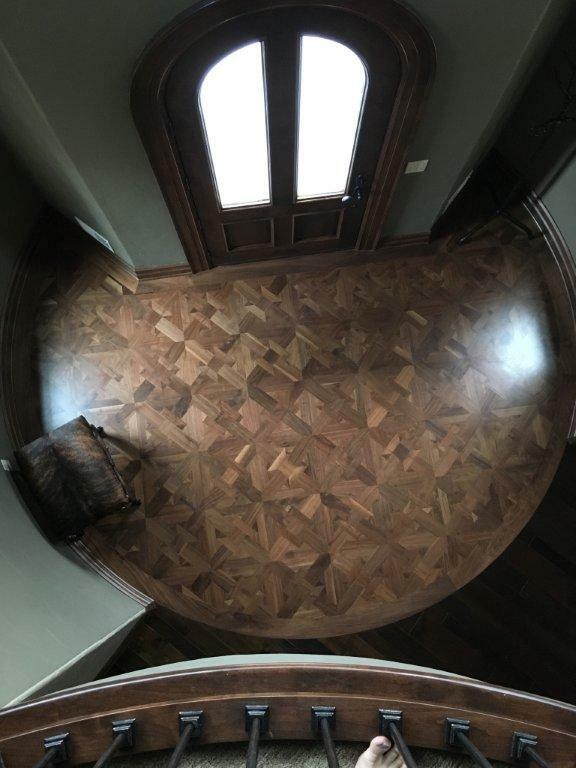 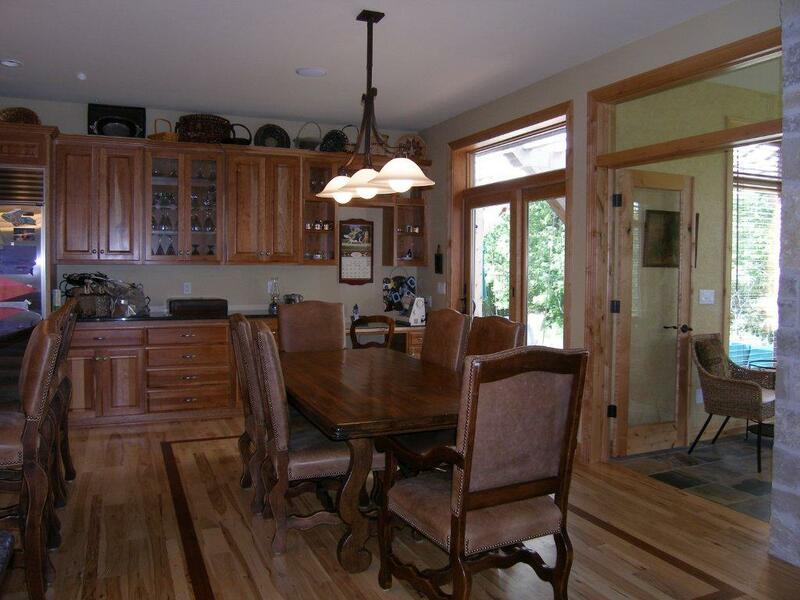 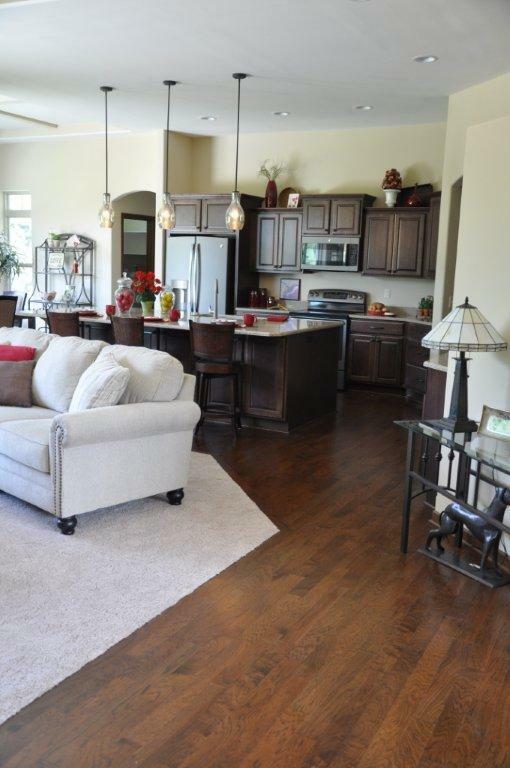 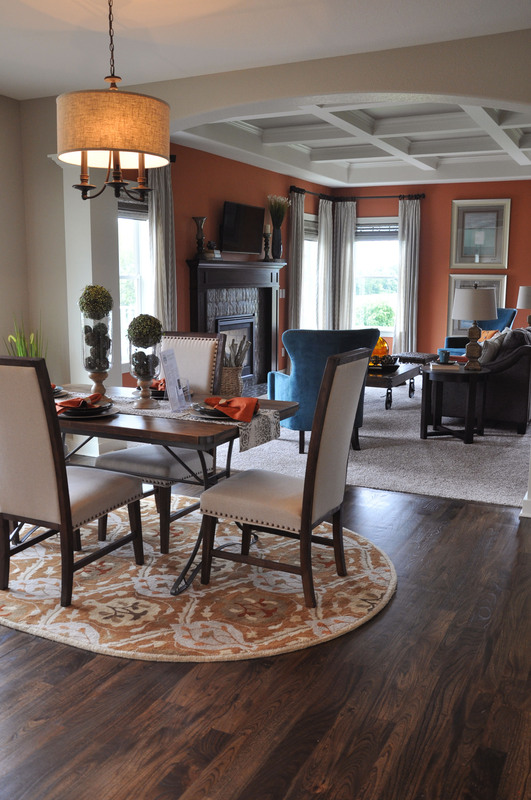 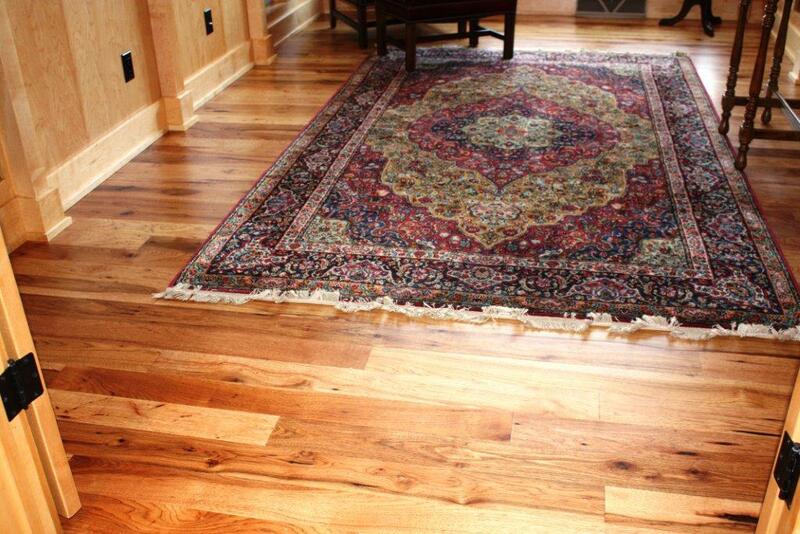 Site-finished hardwood floors allow for the addition of custom patterns, borders, inlays, and medallions. 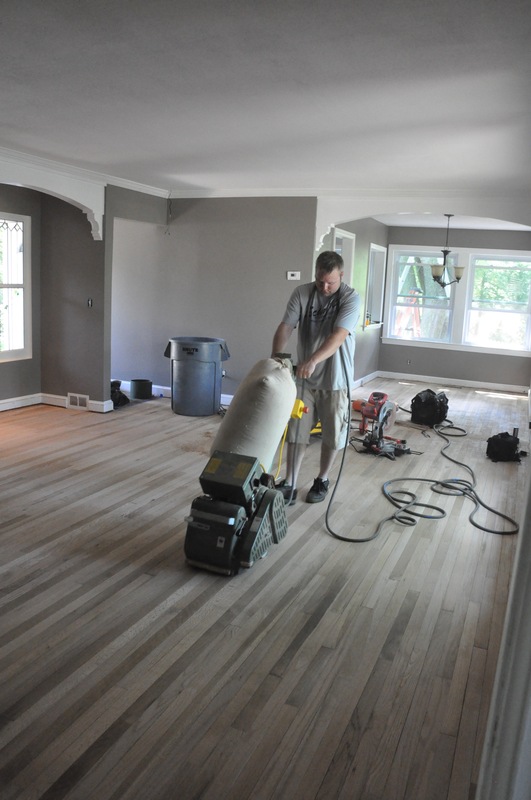 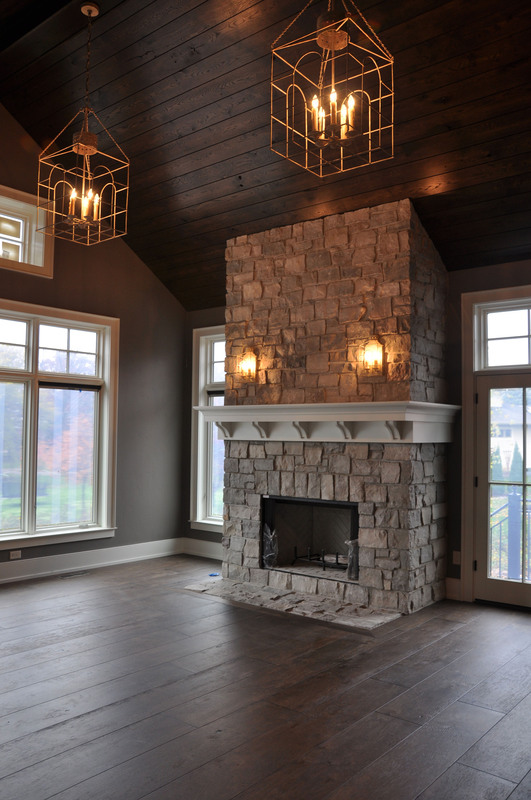 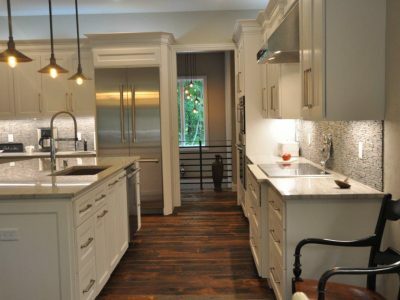 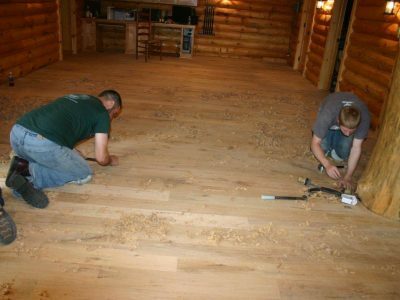 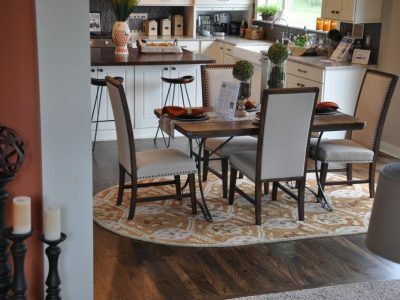 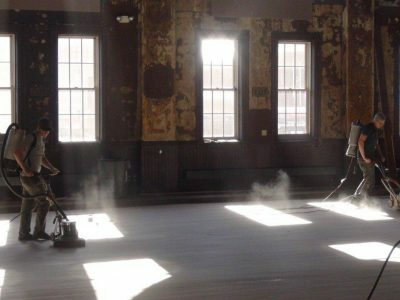 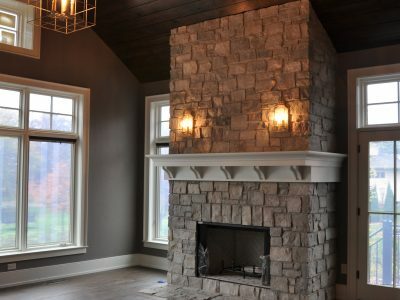 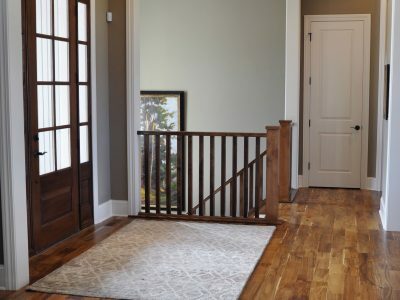 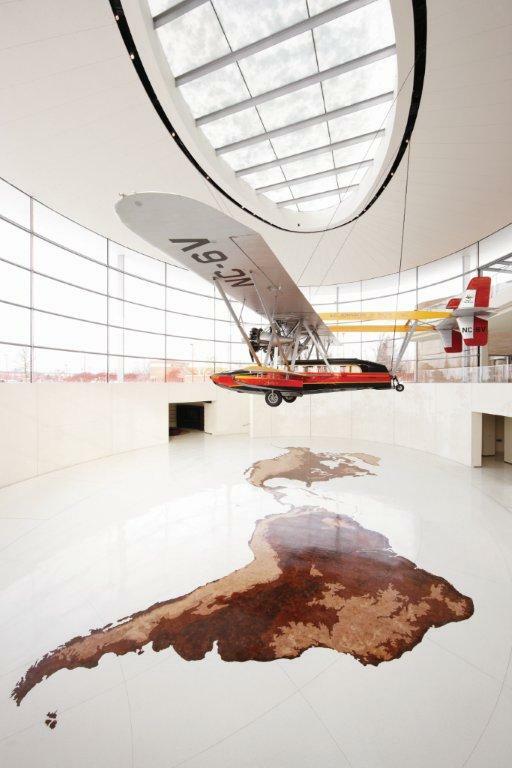 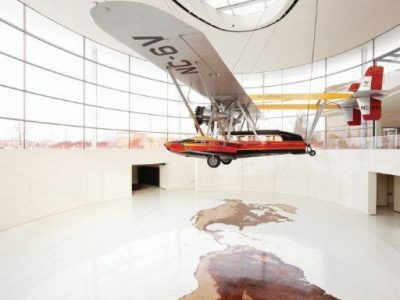 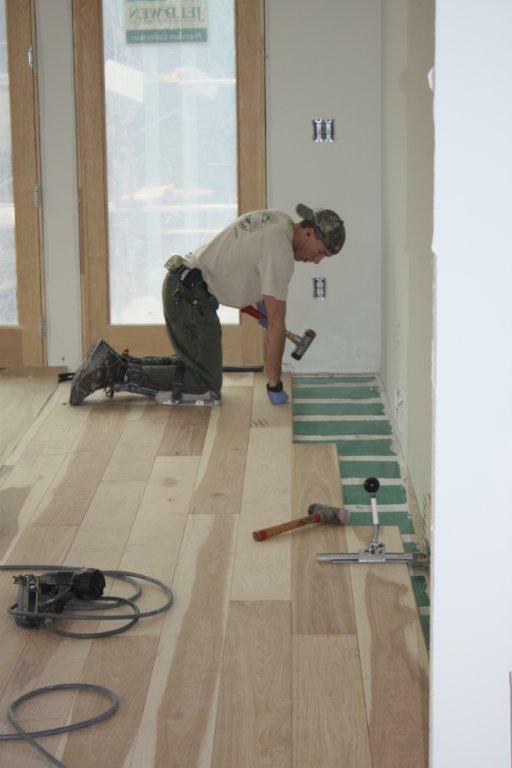 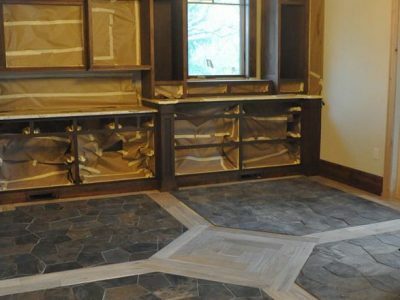 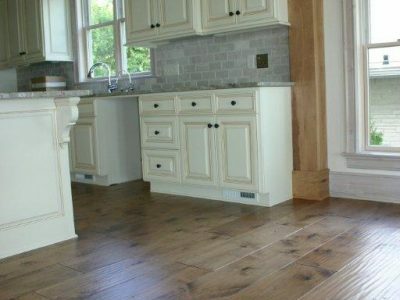 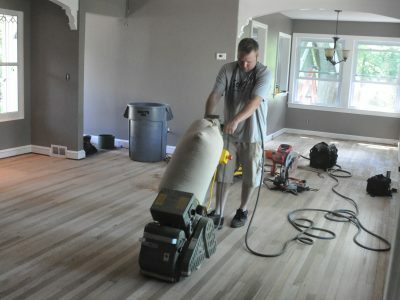 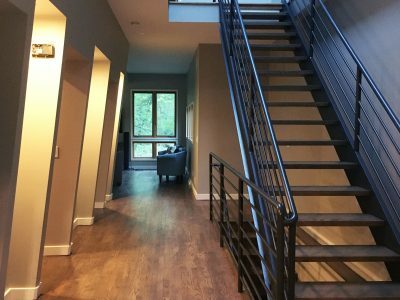 Going with unfinished flooring opens us a virtually limitless variety of options for finish types, colors, and shades rather than the set options available from prefinished products. 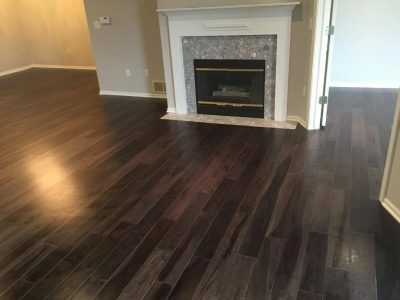 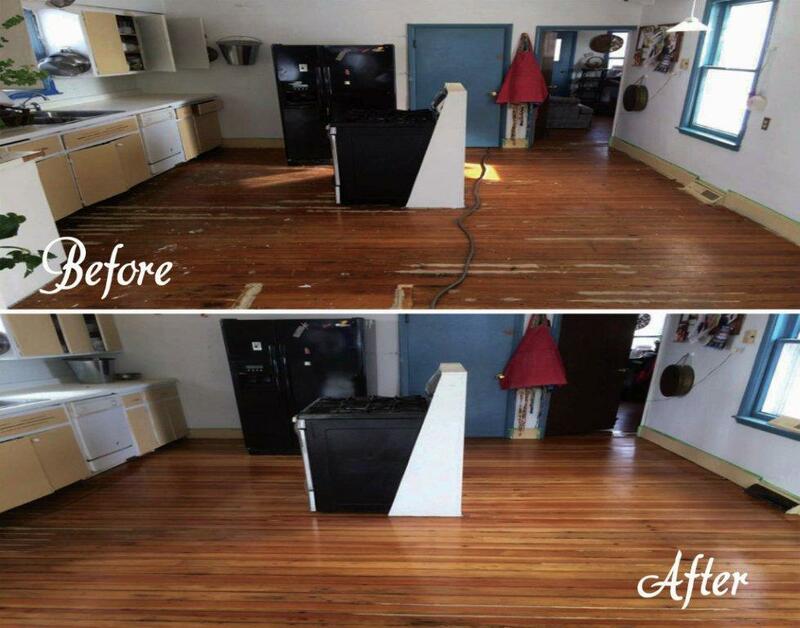 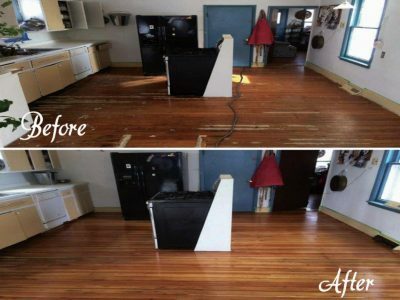 Also, site-sanded and finished hardwood floors can achieve a perfectly flush look which no prefinished products can match. 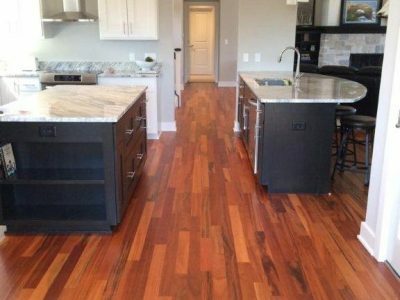 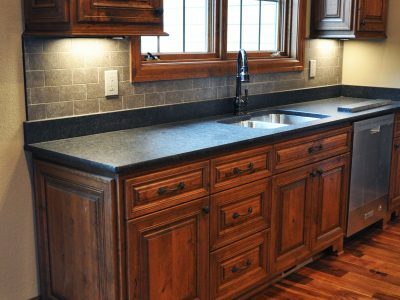 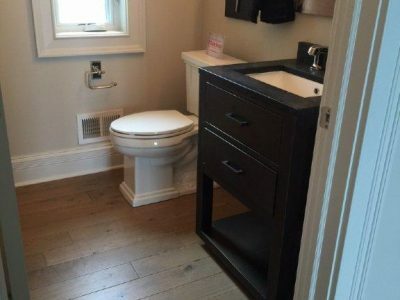 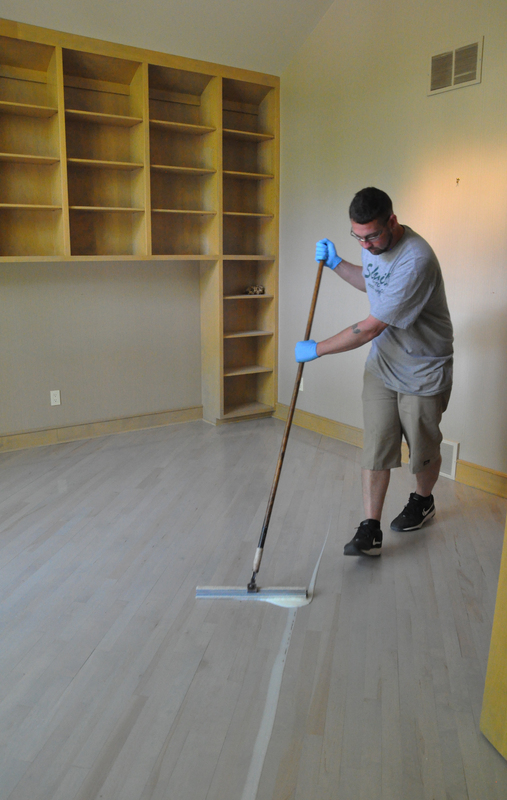 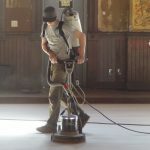 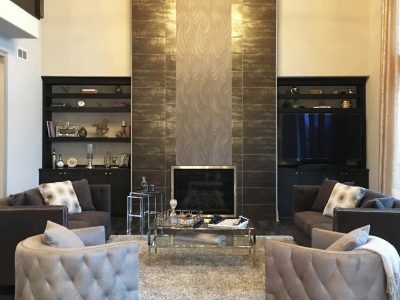 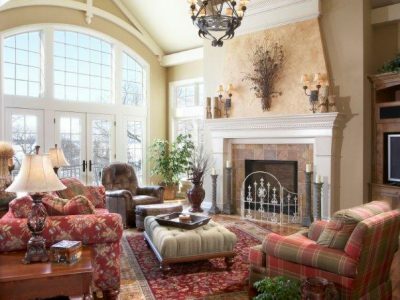 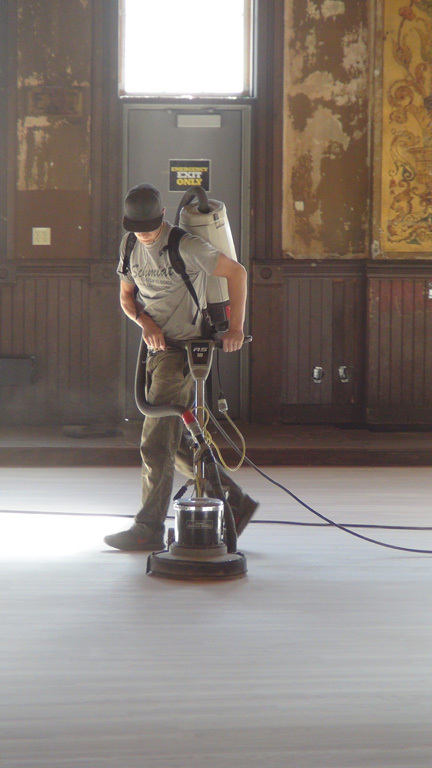 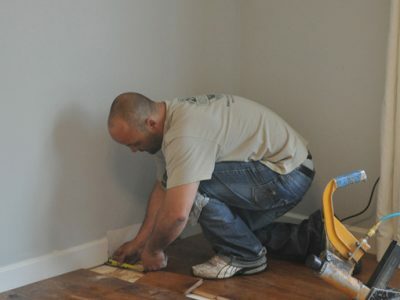 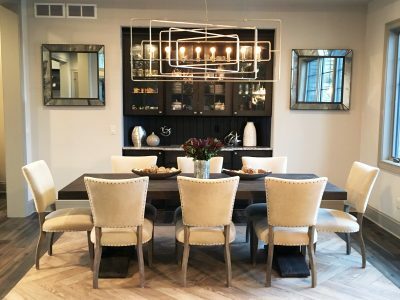 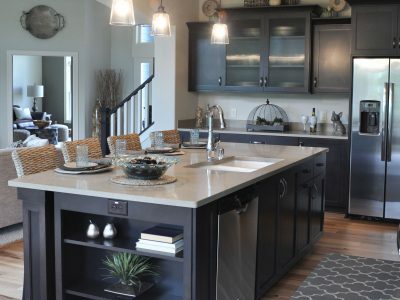 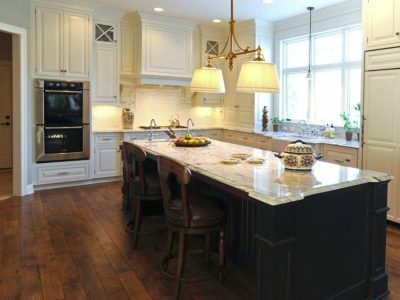 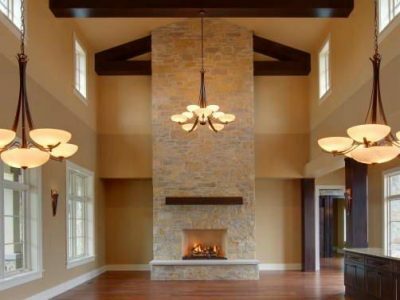 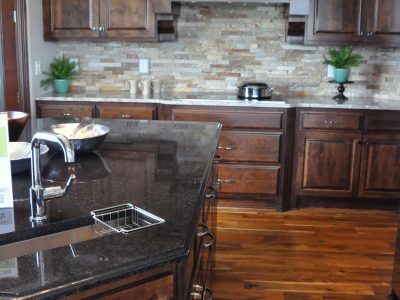 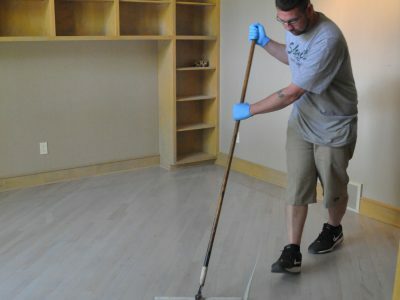 Best of all, we have certified, highly-experienced craftsmen on staff who specialize in delivering the highest quality results available in the Milwaukee and Madison, Wisconsin areas. 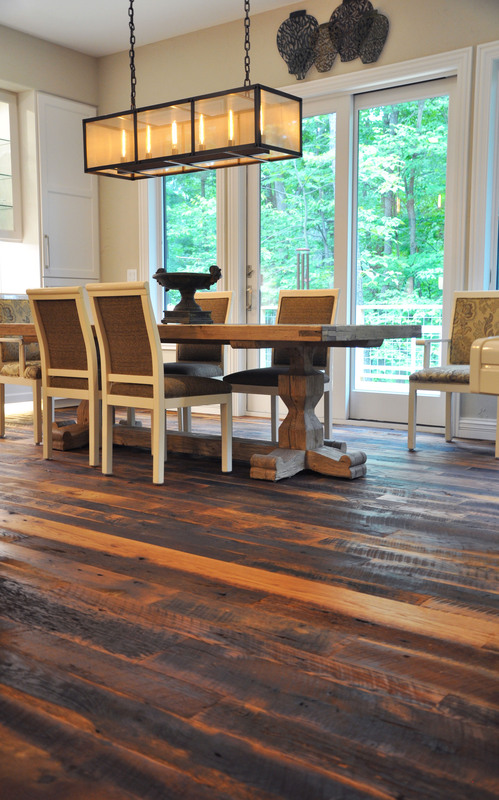 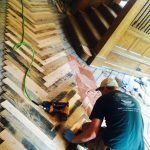 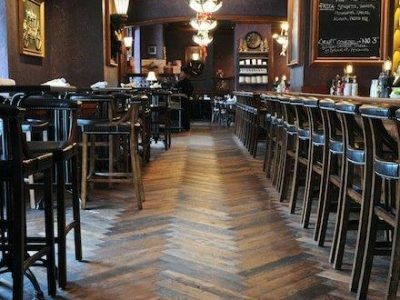 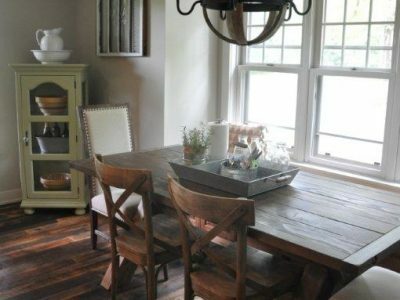 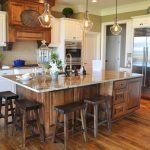 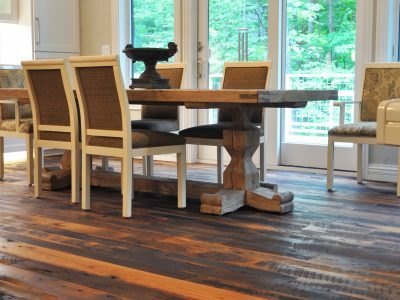 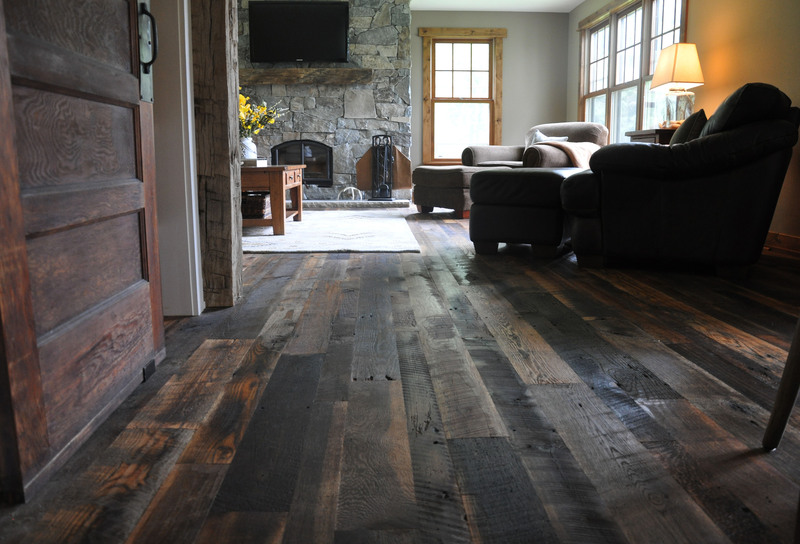 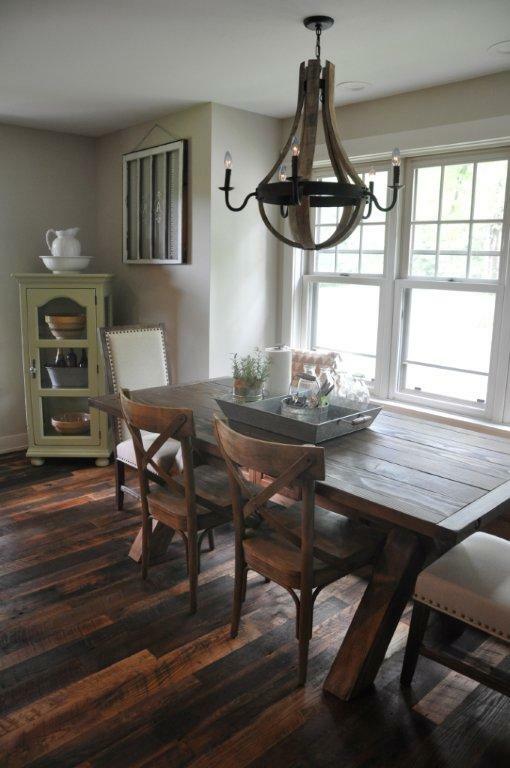 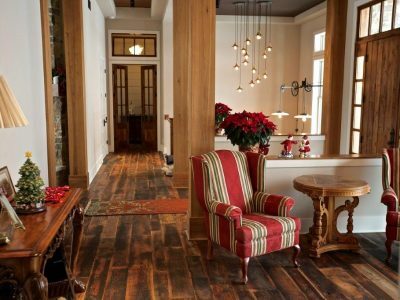 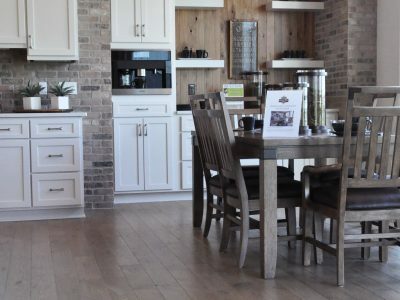 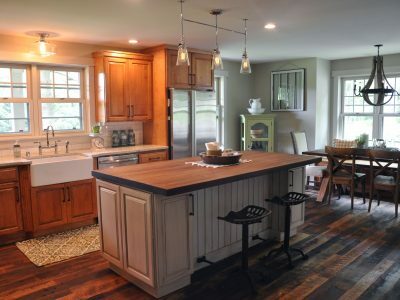 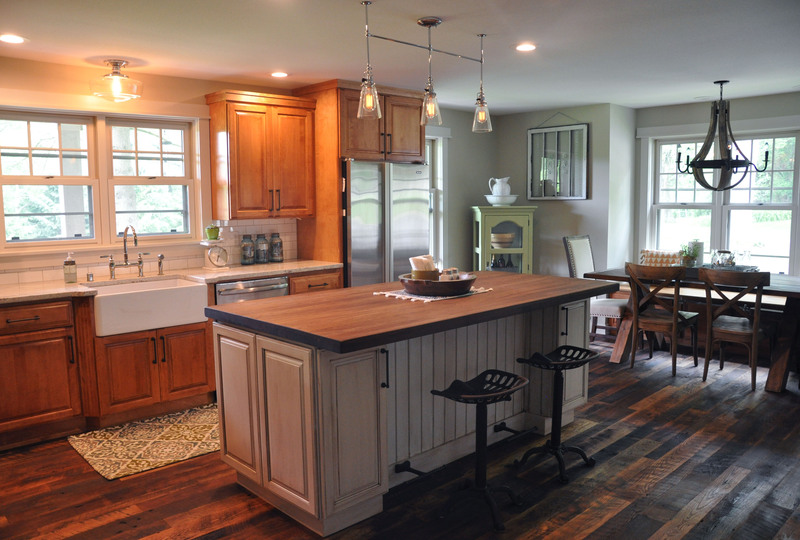 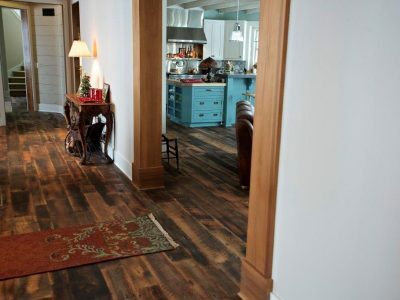 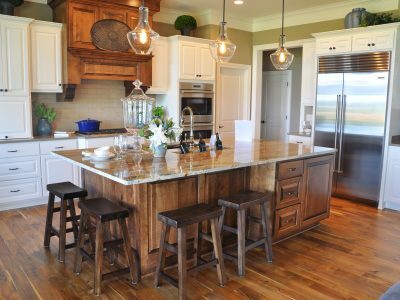 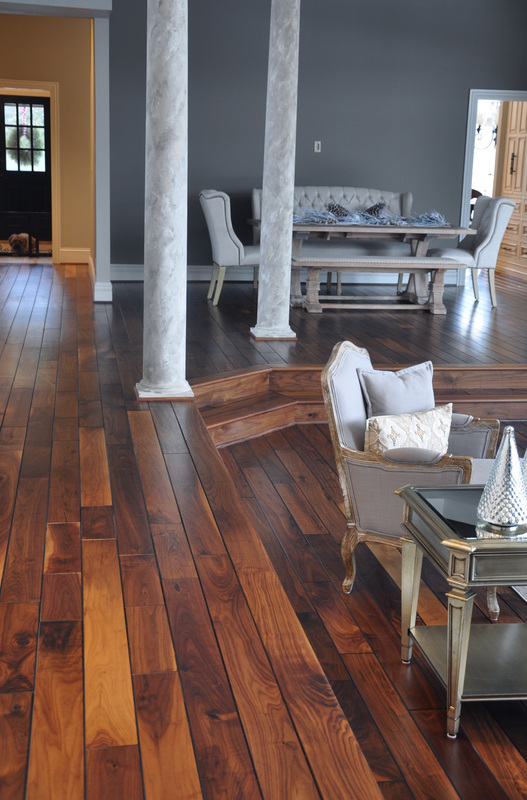 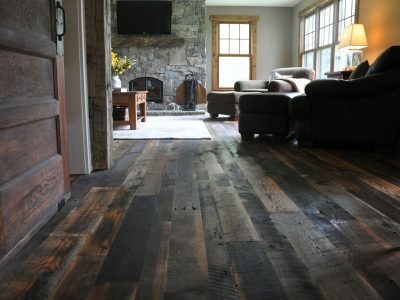 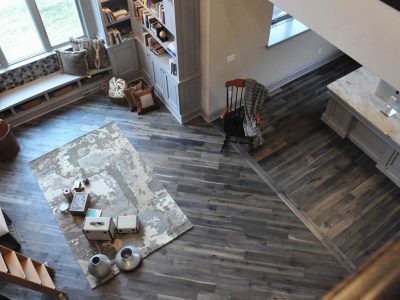 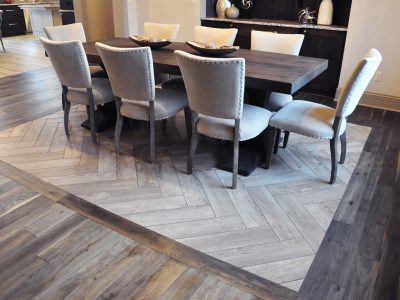 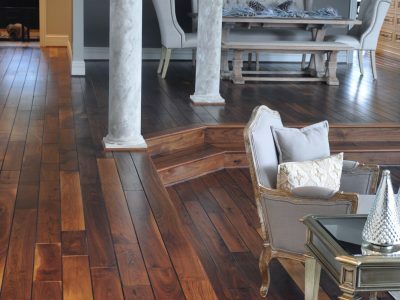 With access to thousands of prefinished hardwood products from dozens of manufacturers, Schmidt Custom Floors is your source for any wood species—including reclaimed wood—and a huge selection of plank sizes and finishes. 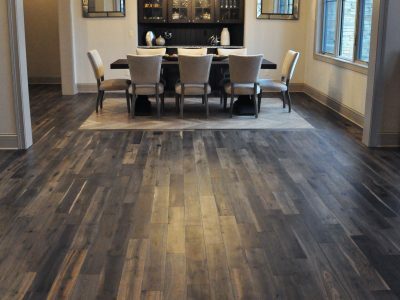 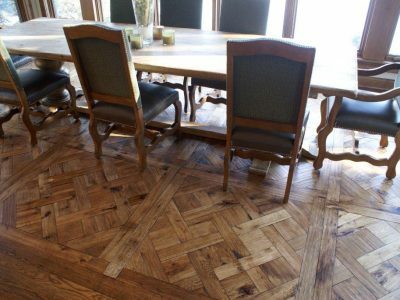 Our selection of prefinished hardwood products includes trusted manufacturers, such as Anderson, Triangulo, Columbia, Model, Mannington, Paramount, Sommerset, and many, many others. 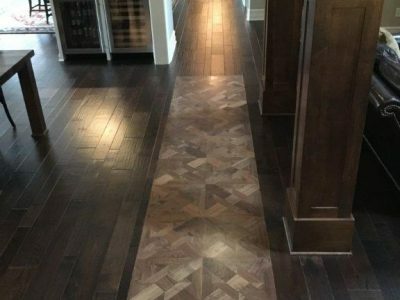 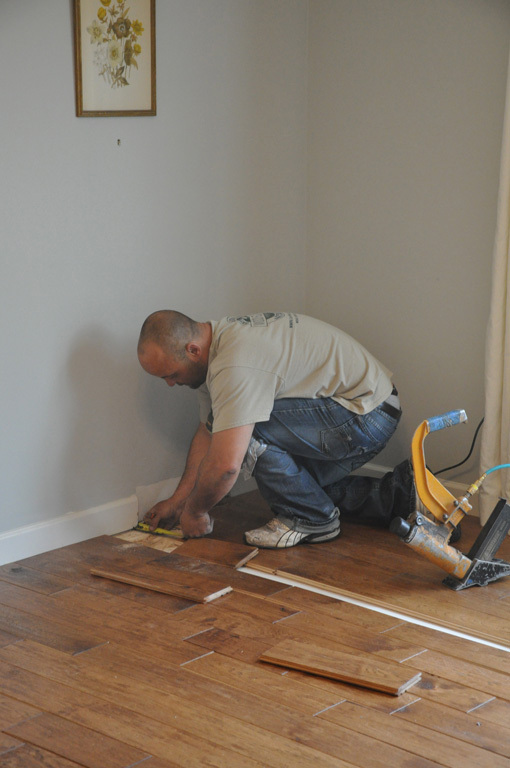 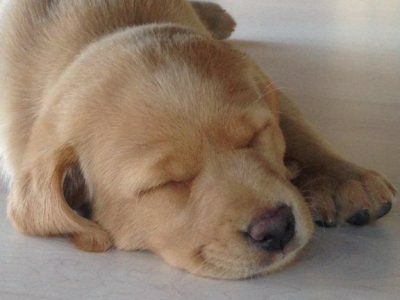 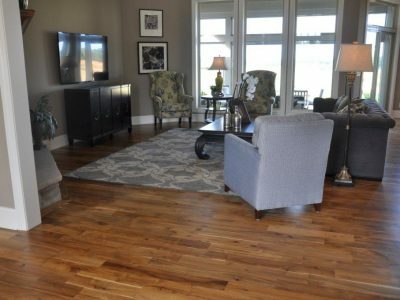 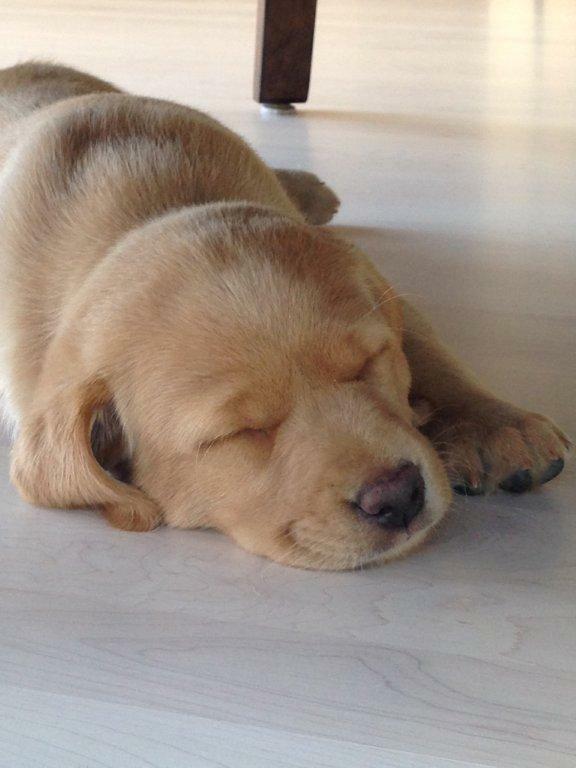 Prefinished hardwood flooring can be installed quickly and is ready for furniture and use immediately, avoiding any curing period needed with site finishing. 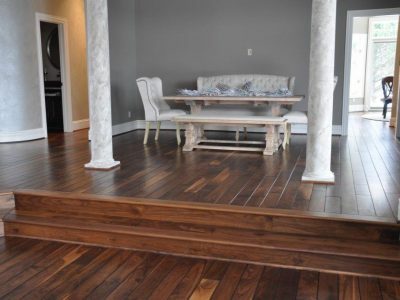 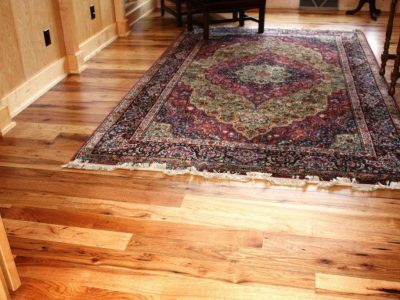 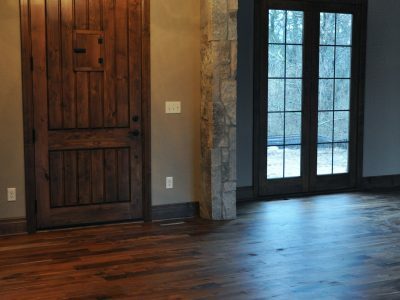 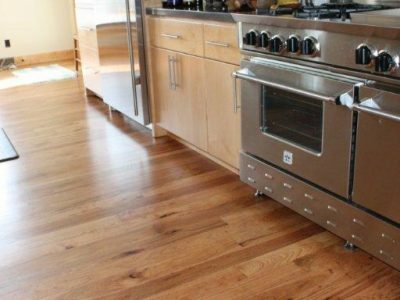 Prefinished hardwood flooring products are fantastic for installation over concrete, radiant heat floating floors, and floating floors, and we carry an array of nail-down and glue-down products to meet any style and budget.